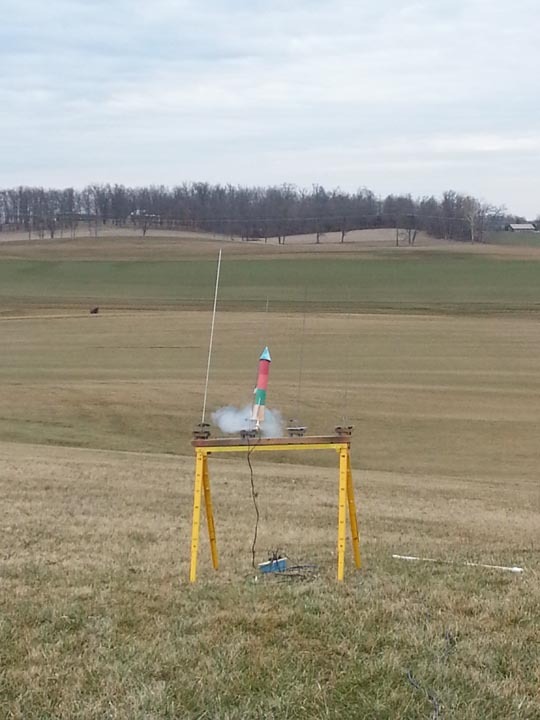 Joe's Big Bertha on a D12-5. 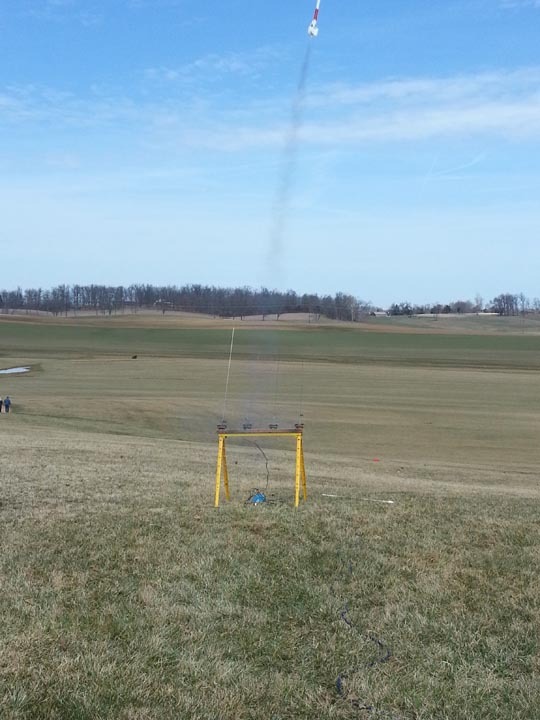 Dennis's 3 Ring 3 Stage on 2 x C6-0s & C6-7. 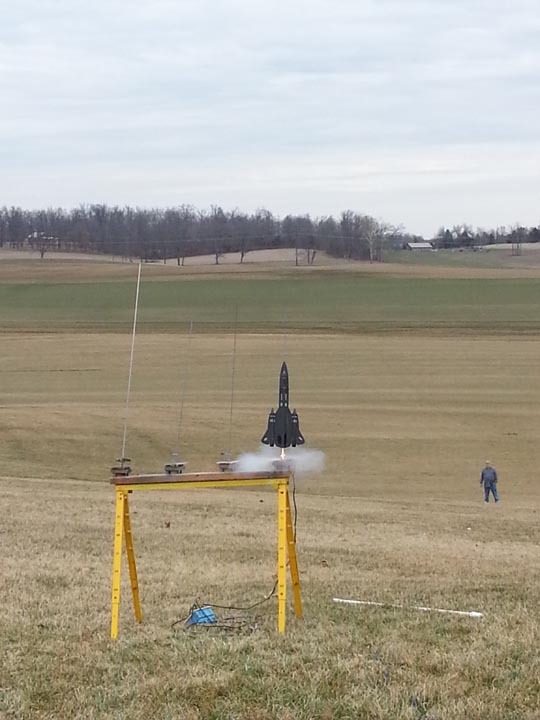 Jon's Baby Bertha on a B6-2. 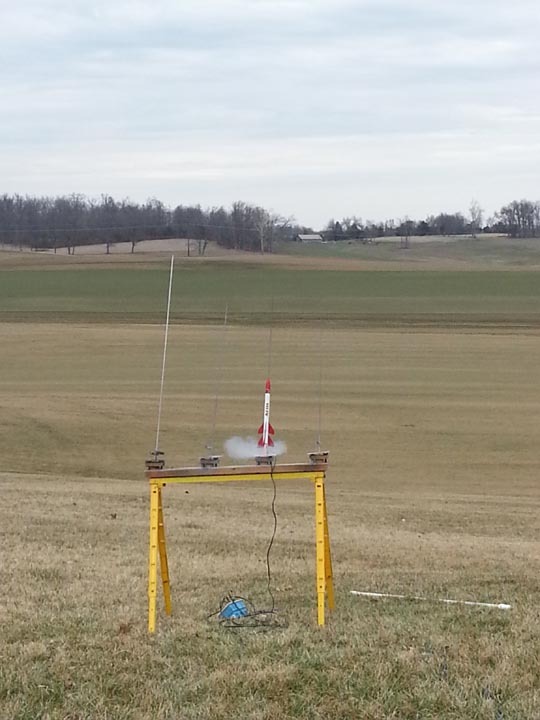 Jeff's X-RV on a B6-2. 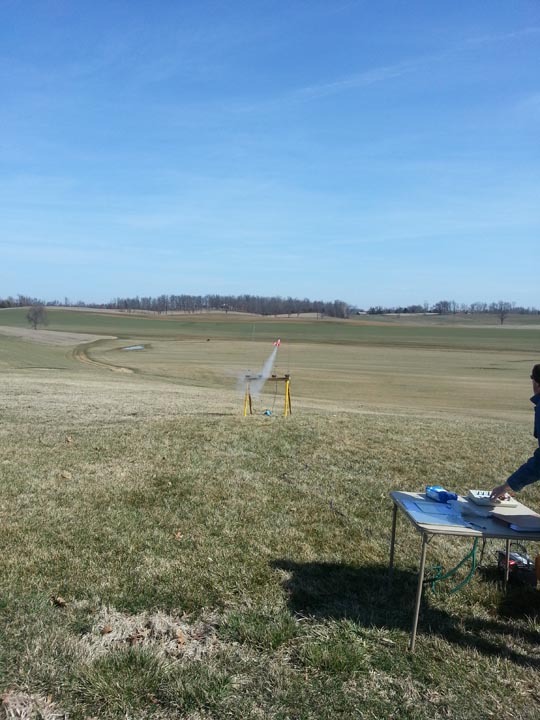 Joe's National Aerospace Plane on a C6-3. 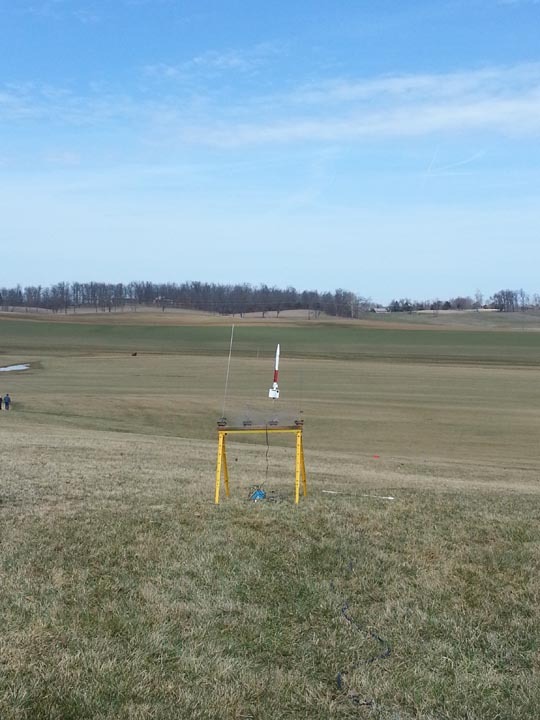 Skywriter #2 on an E9-6. 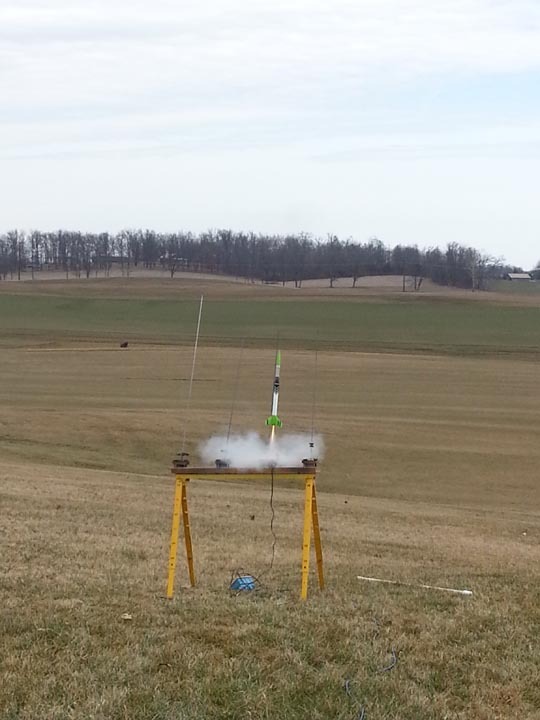 Dennis's Ion Challanger on a D12-5. 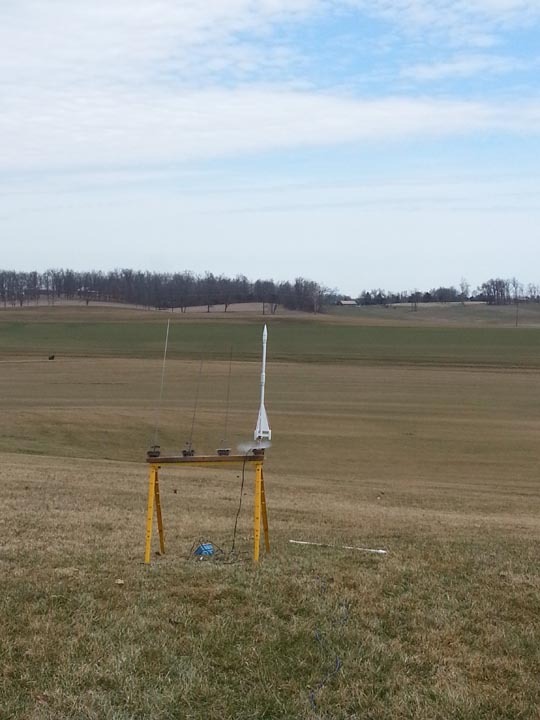 Dennis's Broadsword on a D12-5. 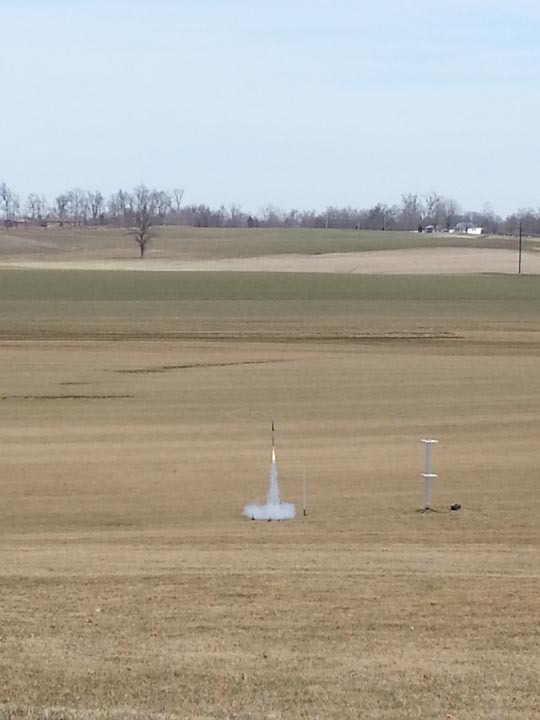 Skwriter #2 on B6-4 Drag between Jon & Joe. 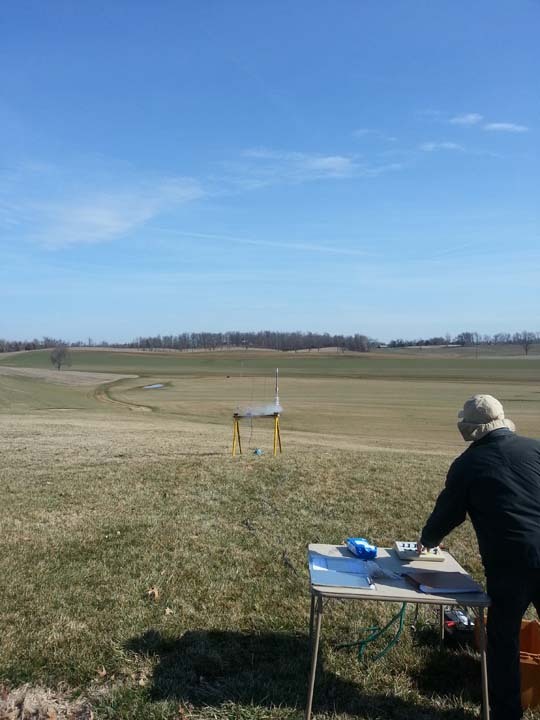 Jeff C launched his X-RV on a B6-2. 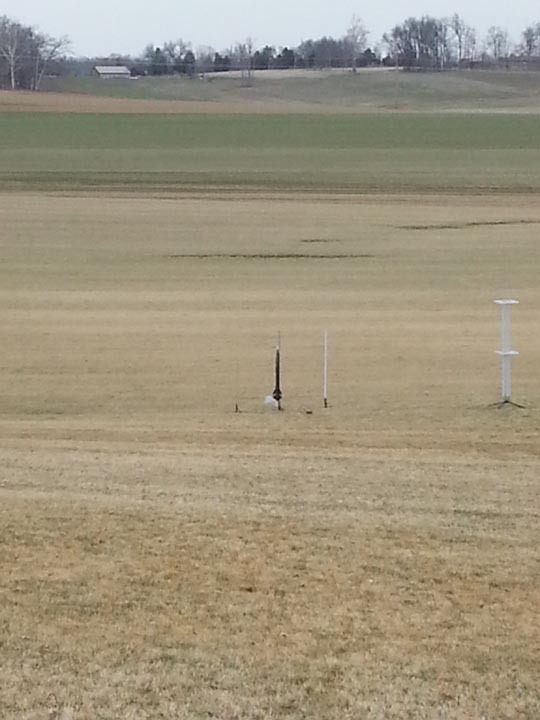 Glide pattern continues to improve. 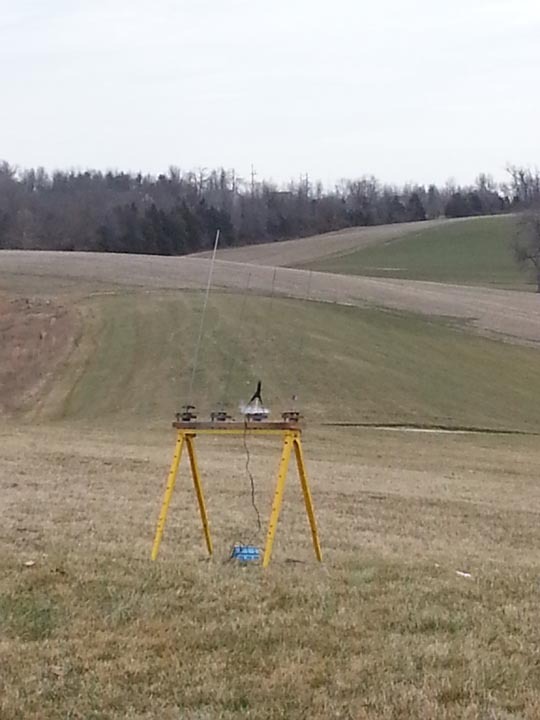 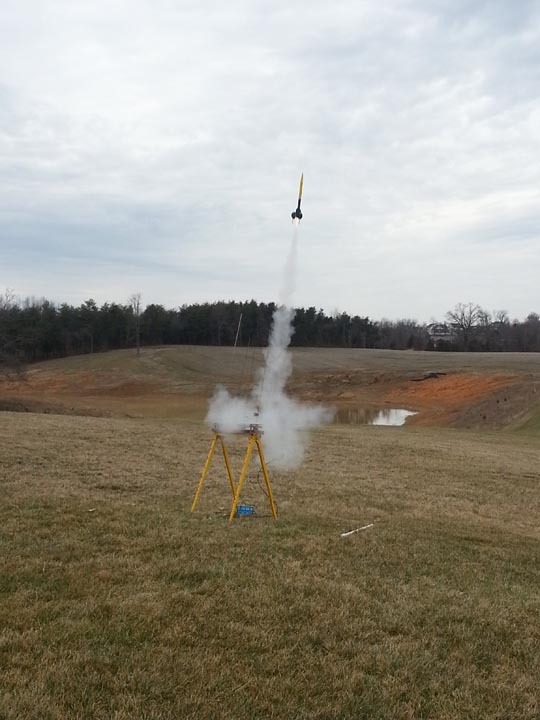 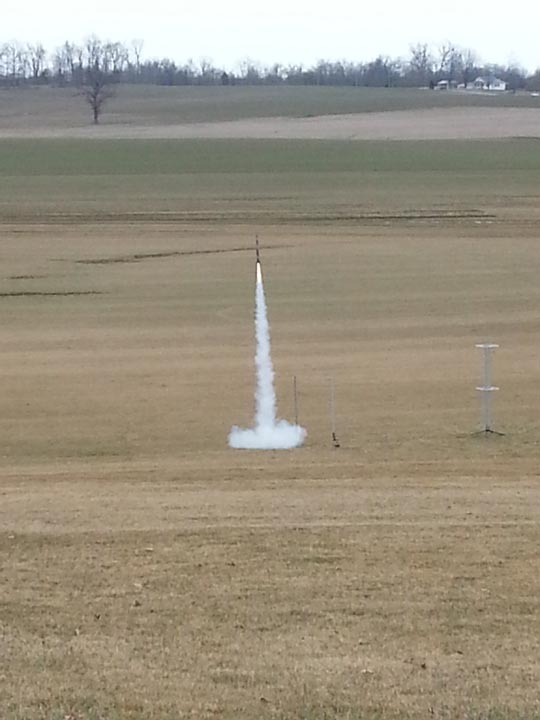 Jeff C launched his Black Brant II using a D5-6. 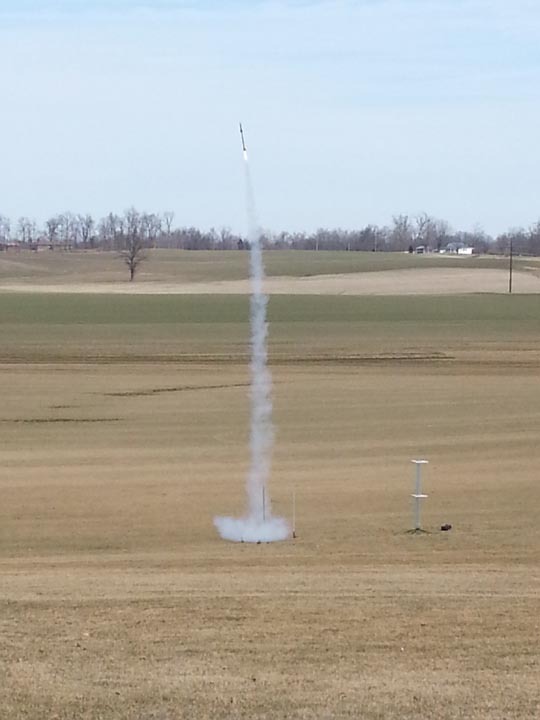 Dennis launched his Upscale StarShip Nova on a E9-6. 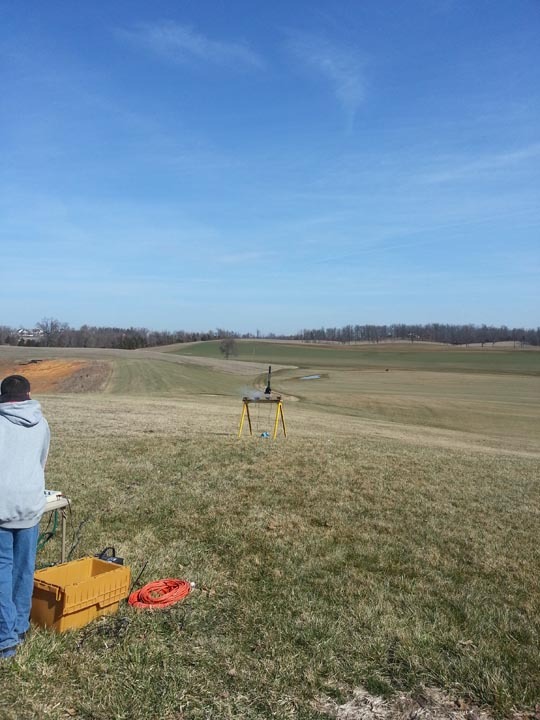 Joe launched his Turbo Copter on an A8-3. 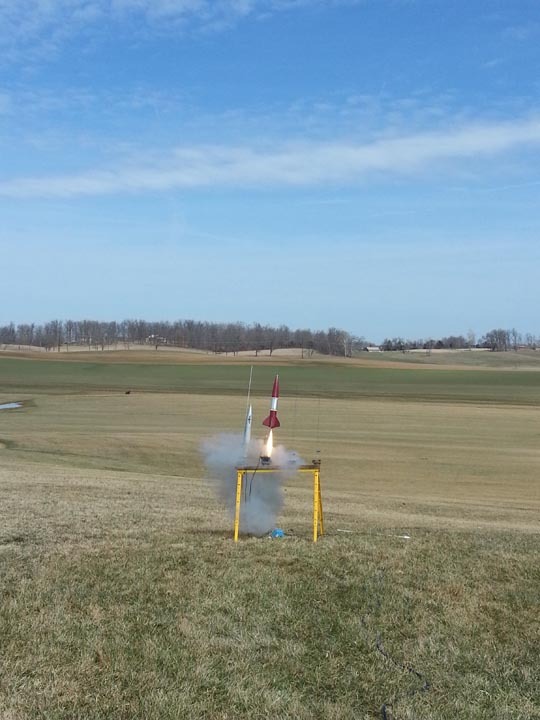 Ed launched his Goblin on a D12-7. 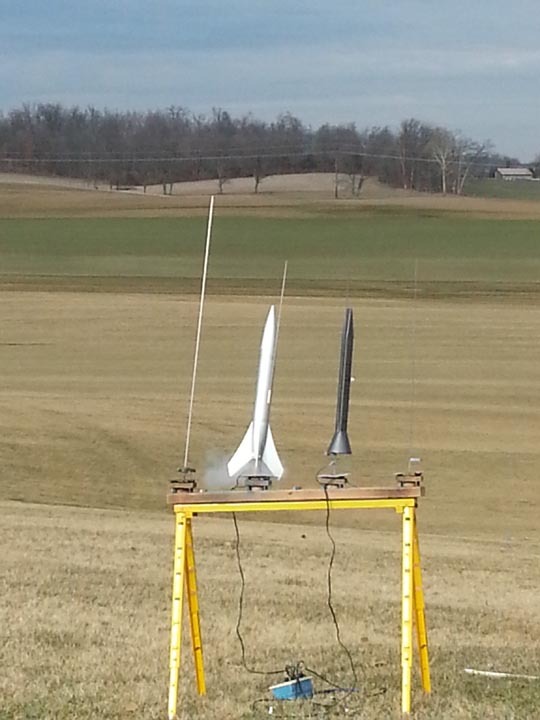 Darryl's Mini Me launched on a G126WT in the booster and a F85WT in the sustainer. 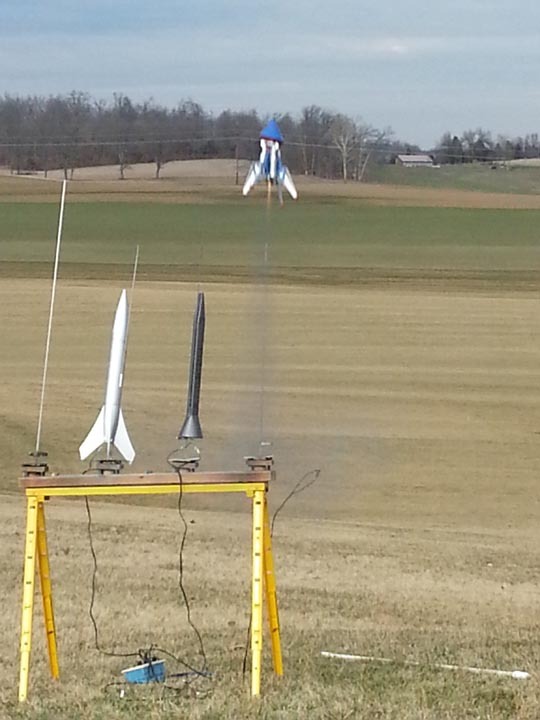 Jeff launched his Mercury Little Joe on a B4-2. 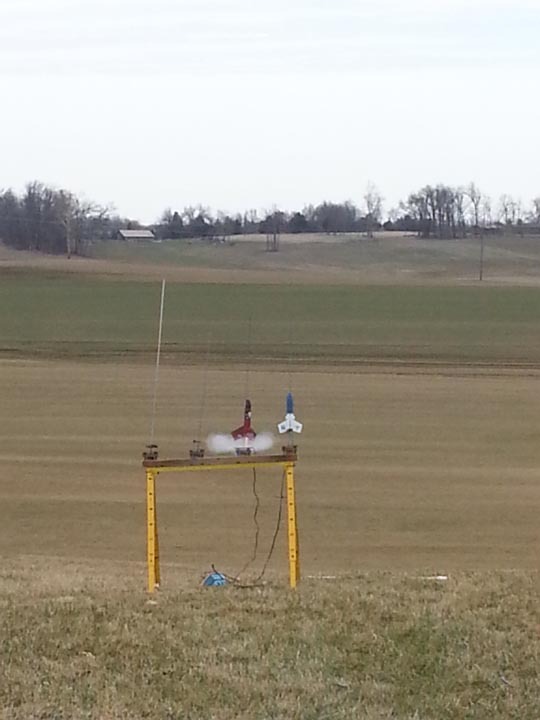 Dennis's Onyx Alien) Drag racing Albert's Onyx(SAM) on F25-6's. 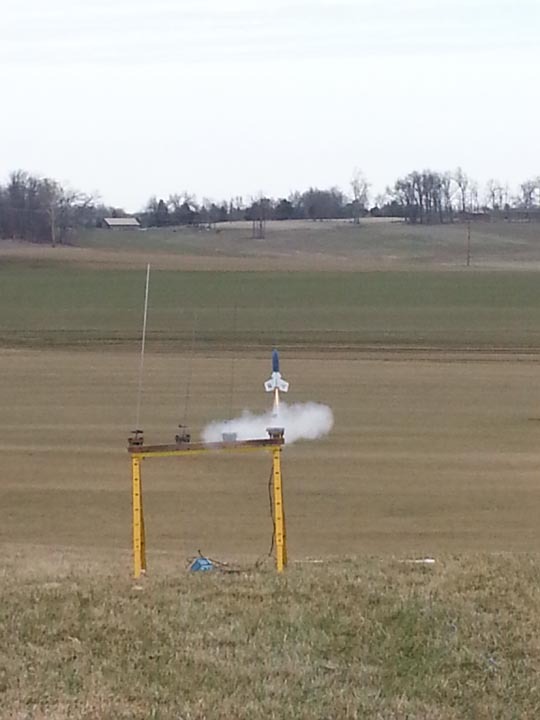 Joe's Silver Comet on D12-3. 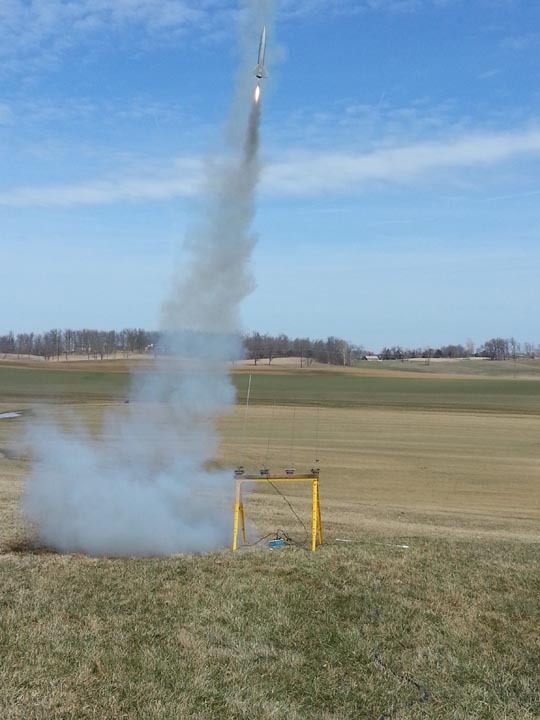 Matt launched the Photon Disruptor on a D21-7 and it held together. 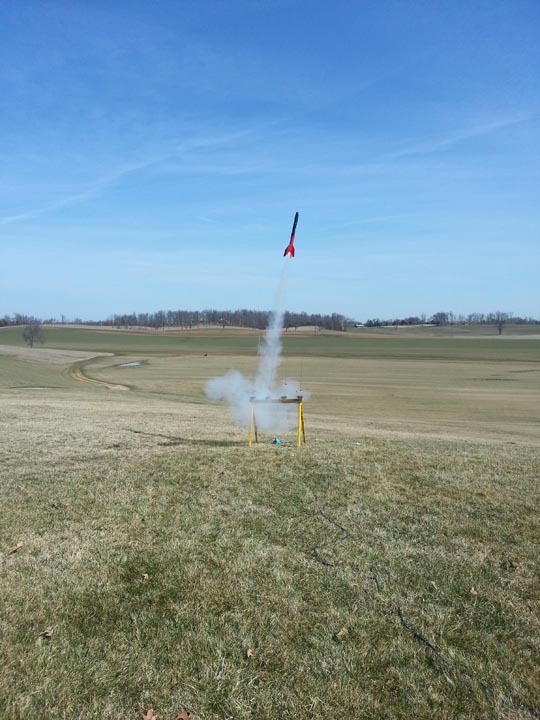 Joe launched his Rocket Vision Solar Venture on a D12-5. 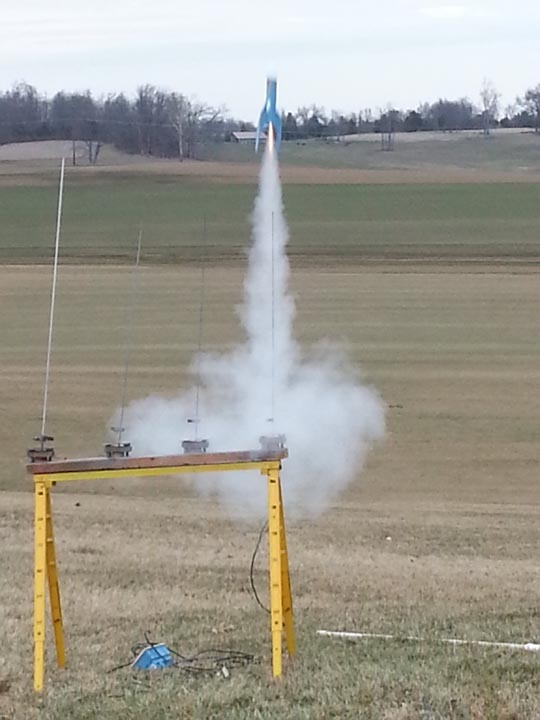 The SkyTraxx was launched by Matt on a C6-5. 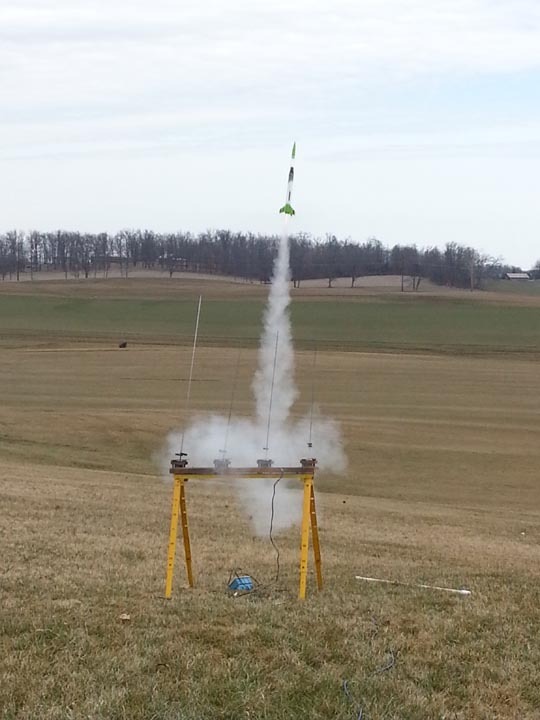 Dennis launched his Alien Invader on a C6-5. Jeff's Stovie on an H255 WT. 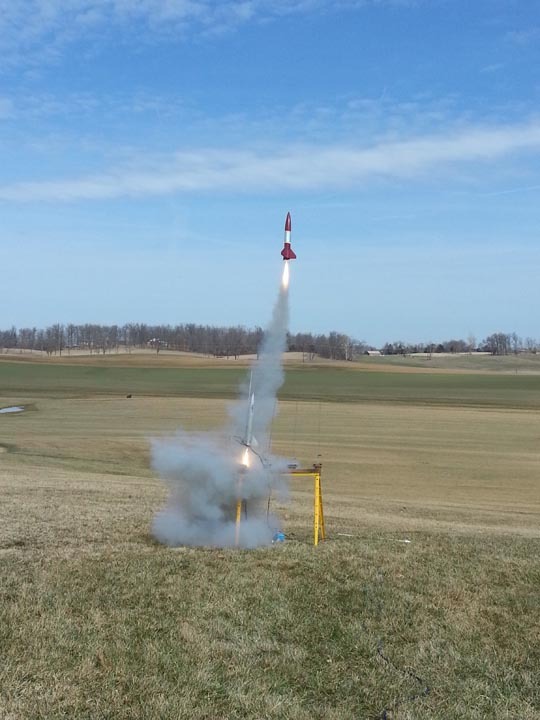 Joe's Black Twister launched on an A8-3. 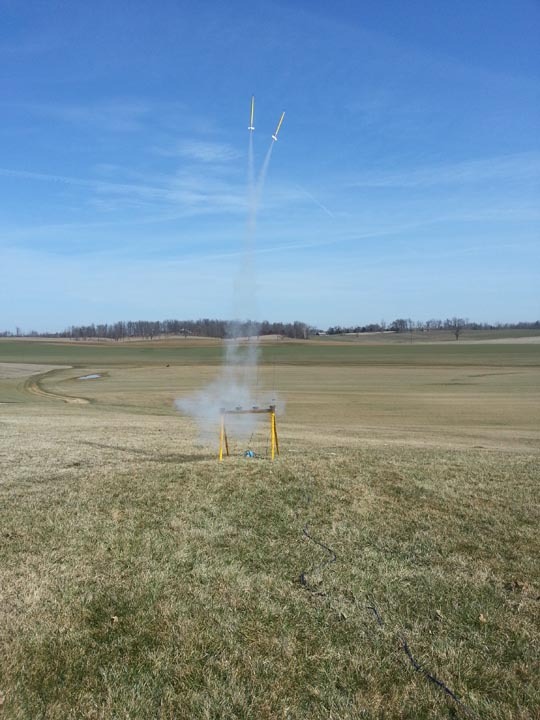 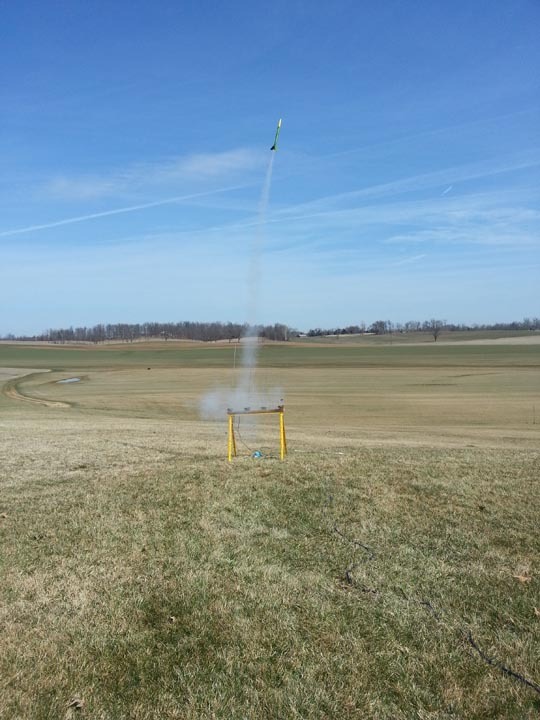 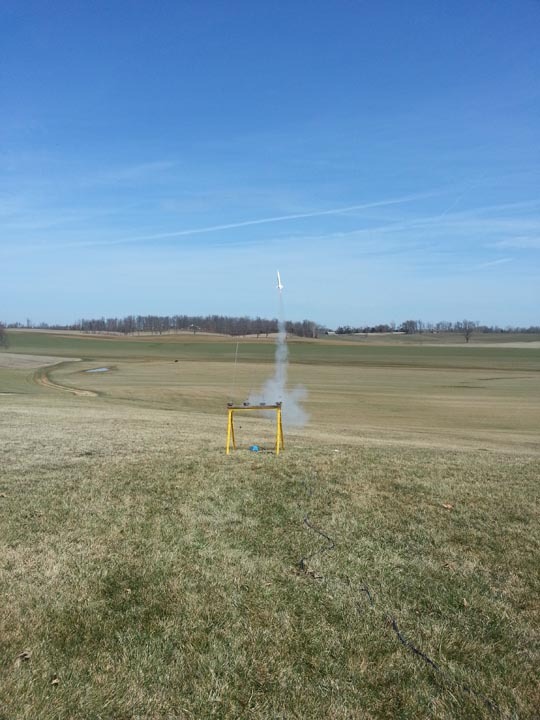 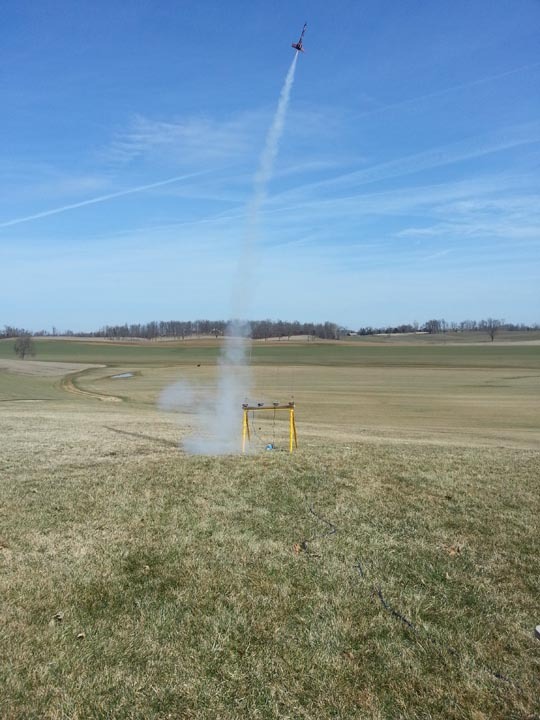 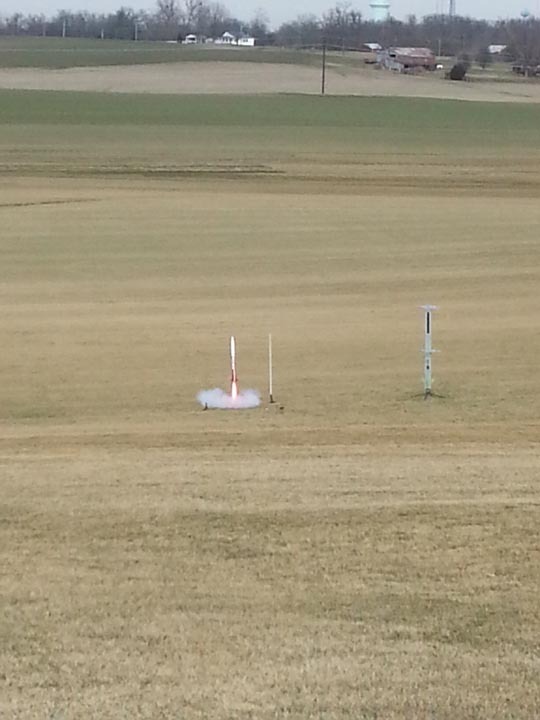 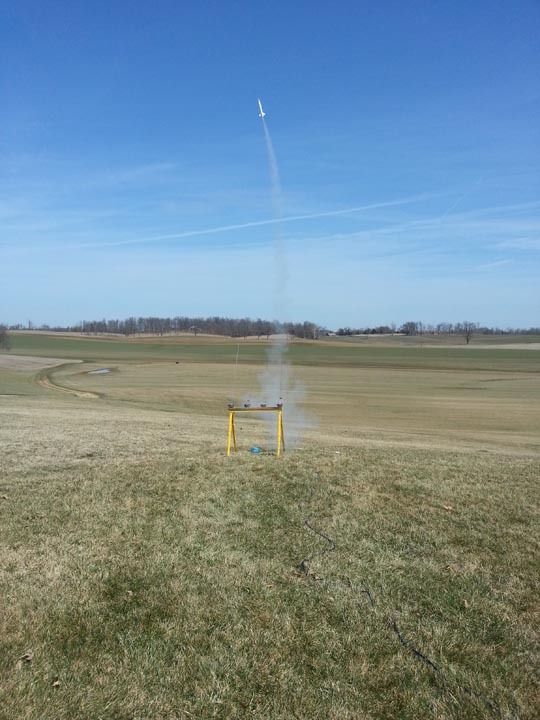 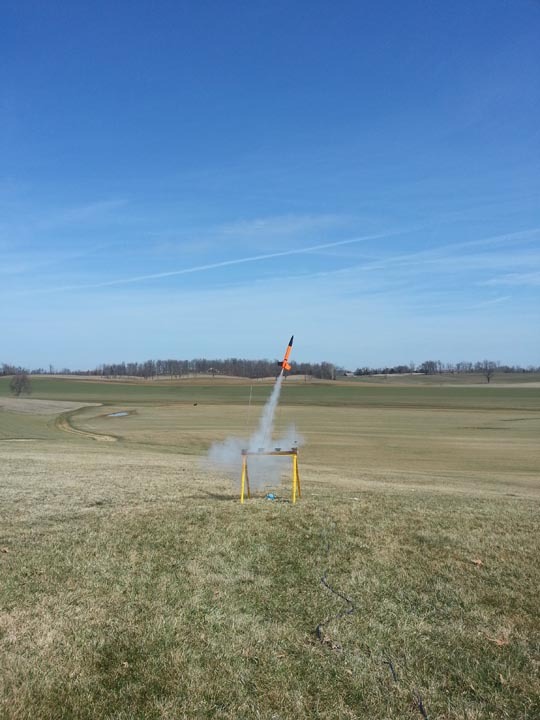 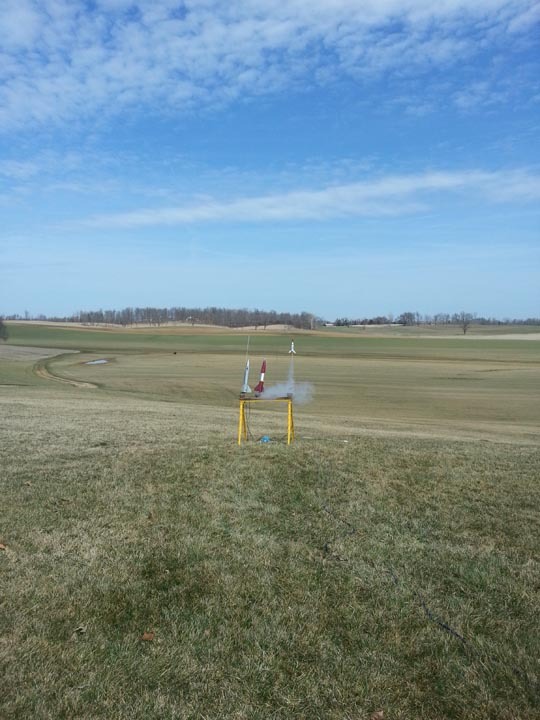 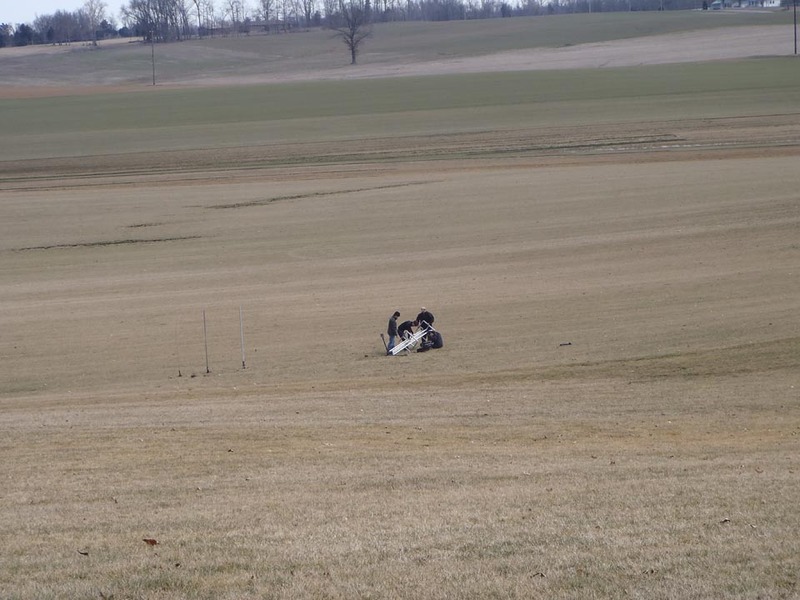 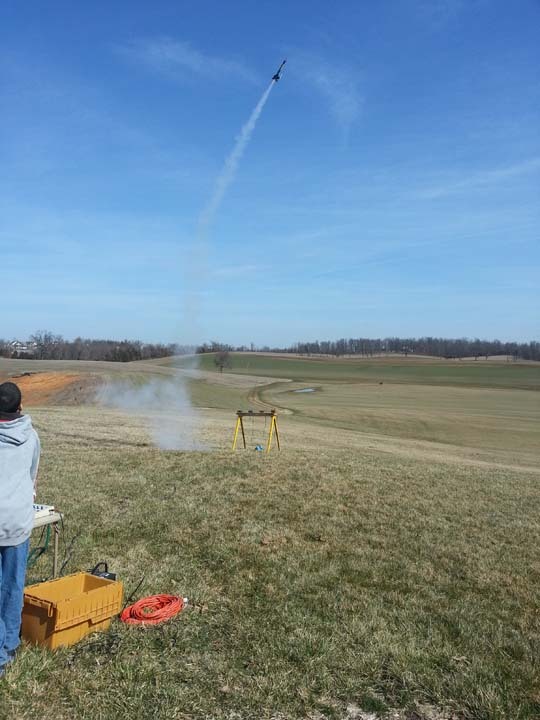 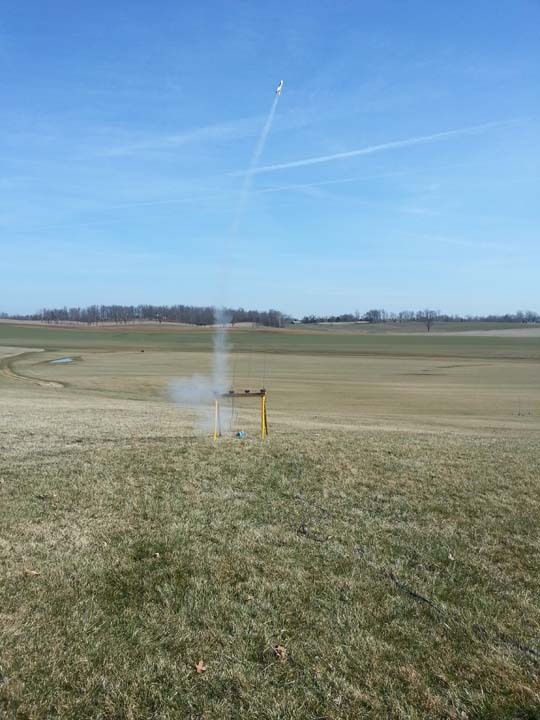 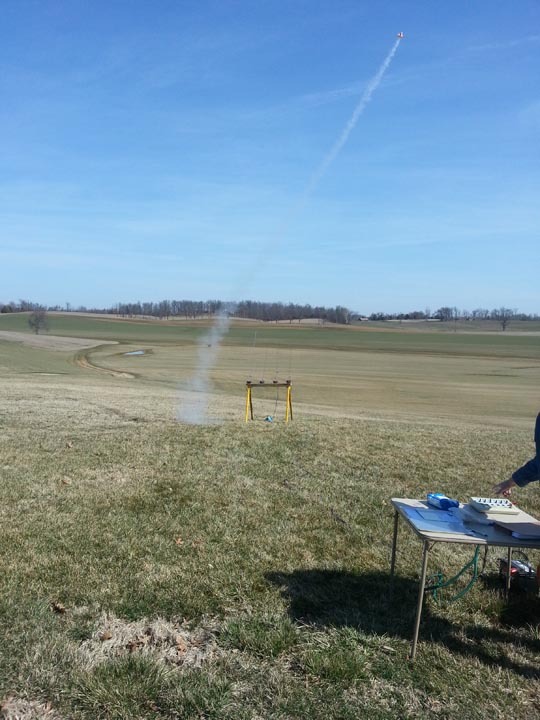 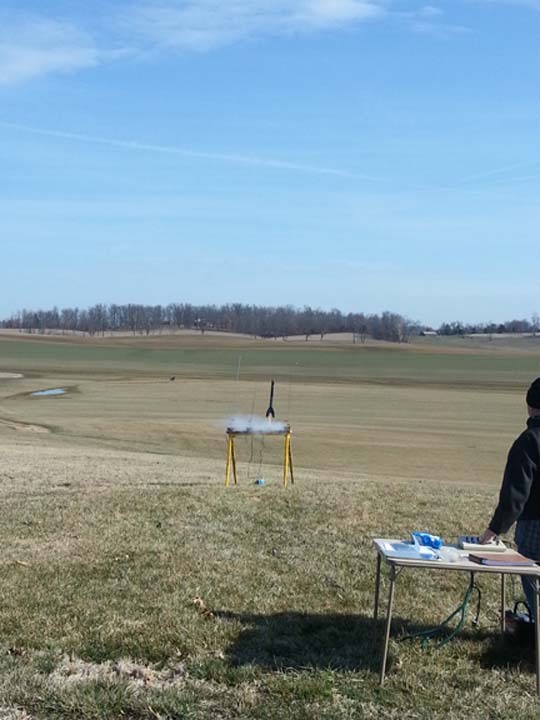 L1 attempt by David Hopperton using a rocket with no name and launched on an H120. 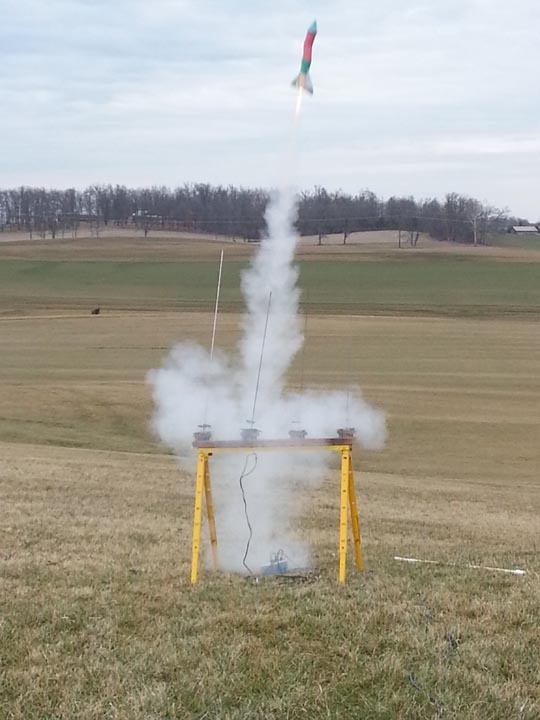 Dennis launched his Goonie Max on a C6-5. 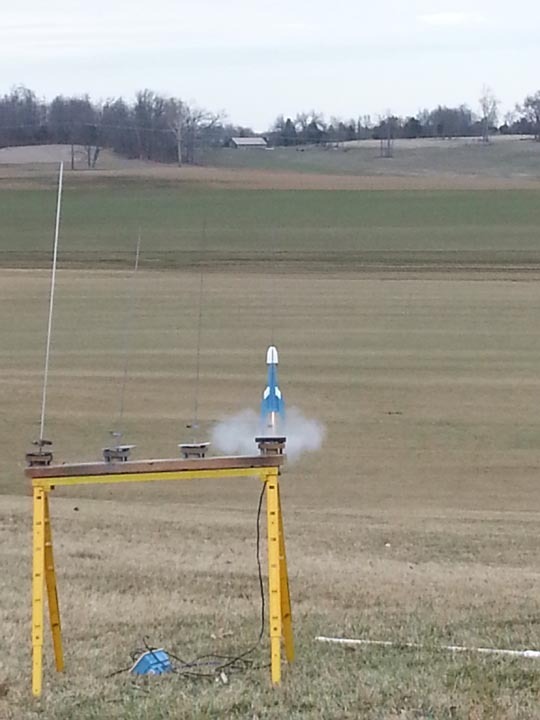 Dennis launched his Goonie Blue Max on a C6-5. 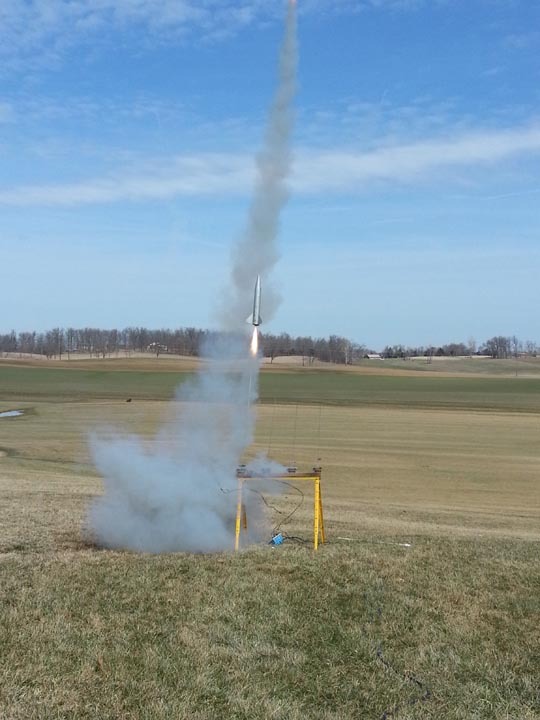 Matt launched his Dark Star 4 on a J244. 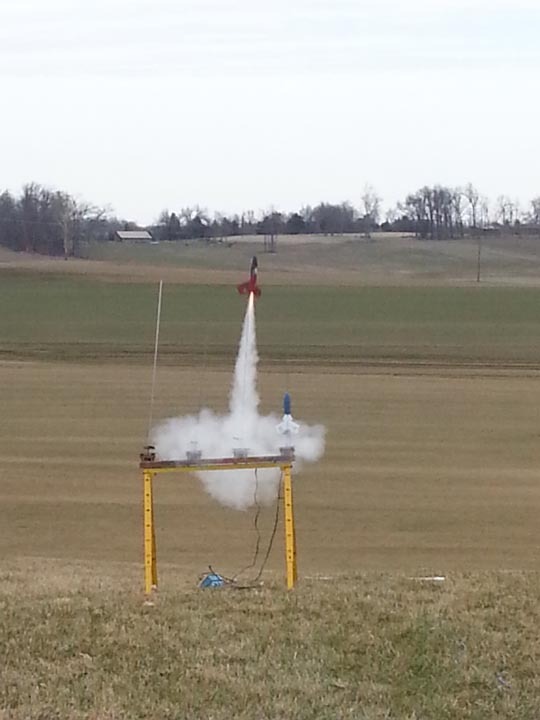 Dennis launched the '57 Goonie on a C6-5. 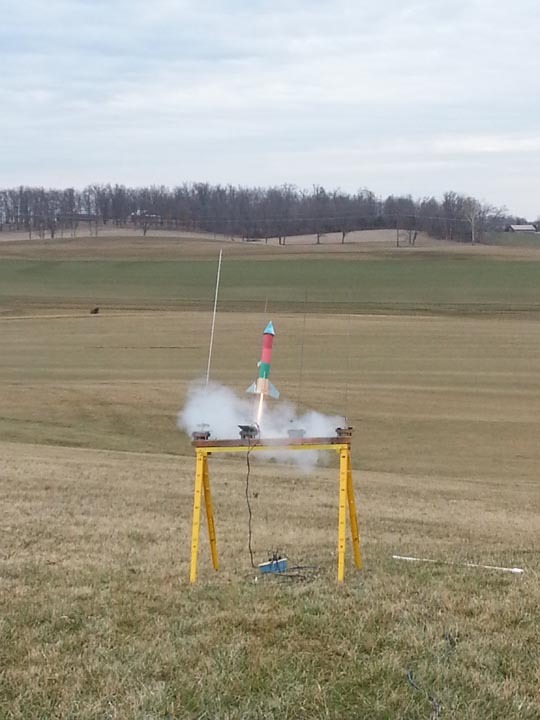 The two stage Aztec was launched by Joe on a B6-0/B6-6. 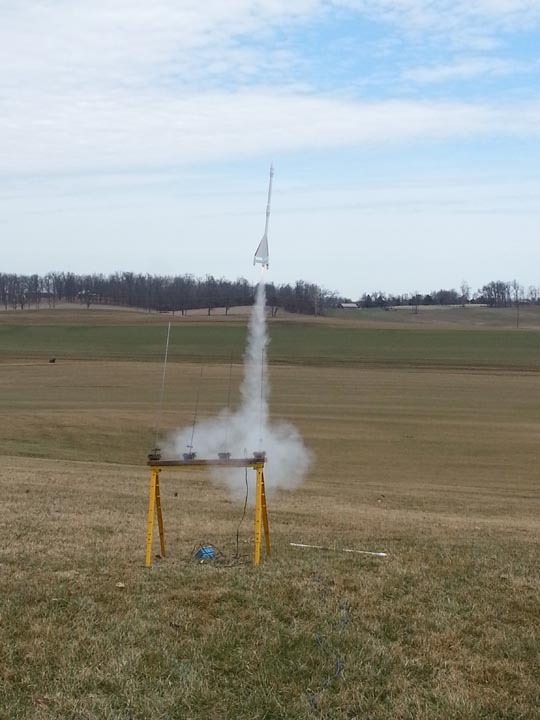 Dennis launched his Blackbird using a C6-5. 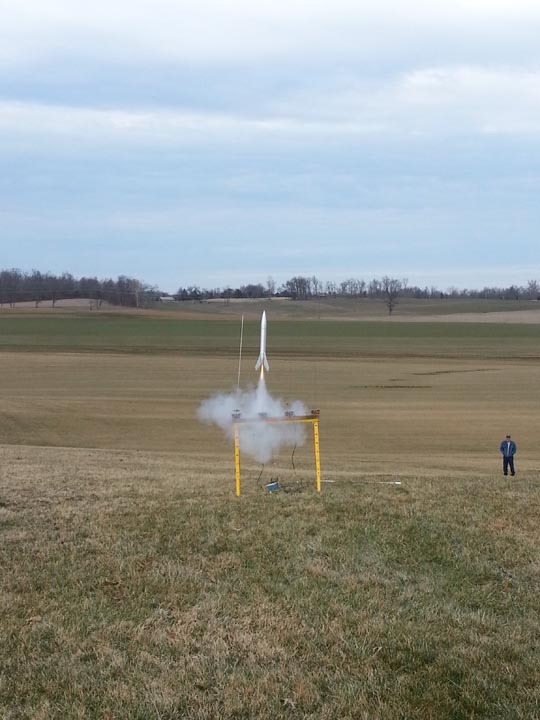 Dennis launched his Spitfire on a D12-3. 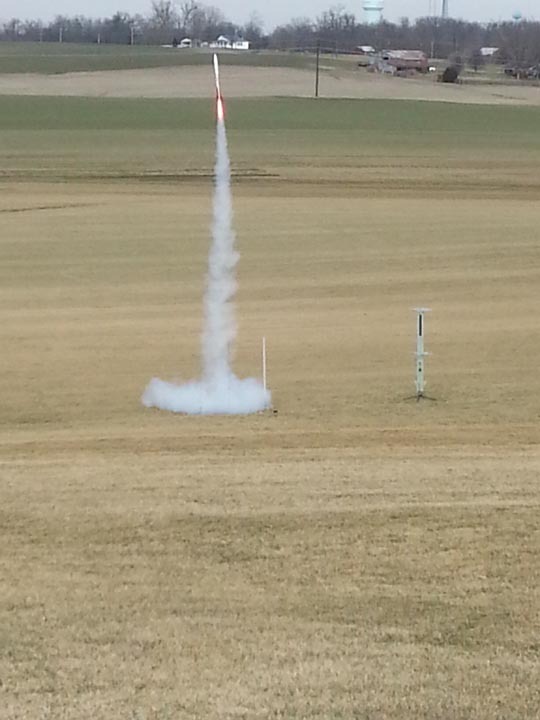 Dennis launched his Outlander using a D21-7 and it did not loose any parts in flight. 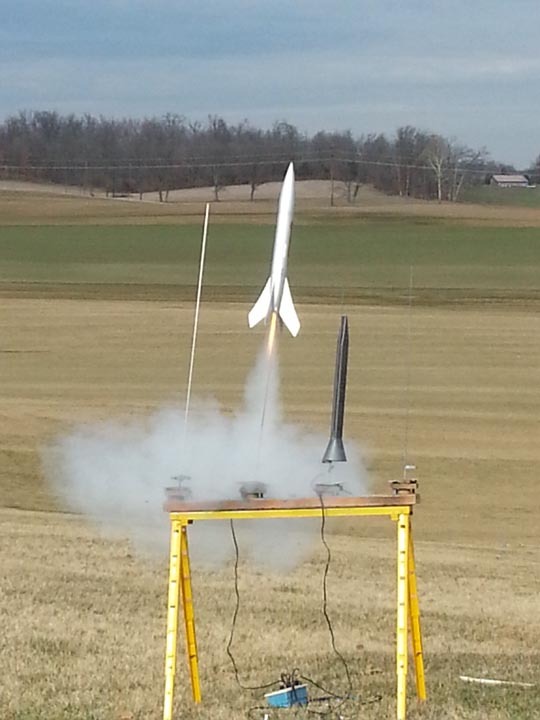 Joe launched his Silver Comet on a D12-3. 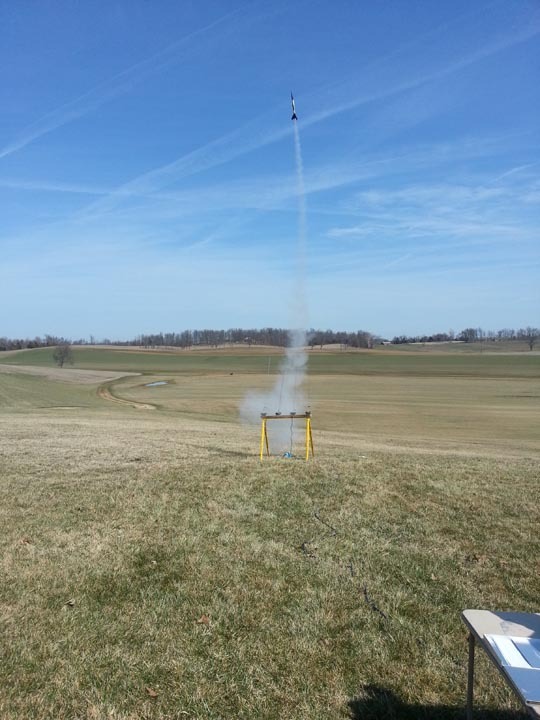 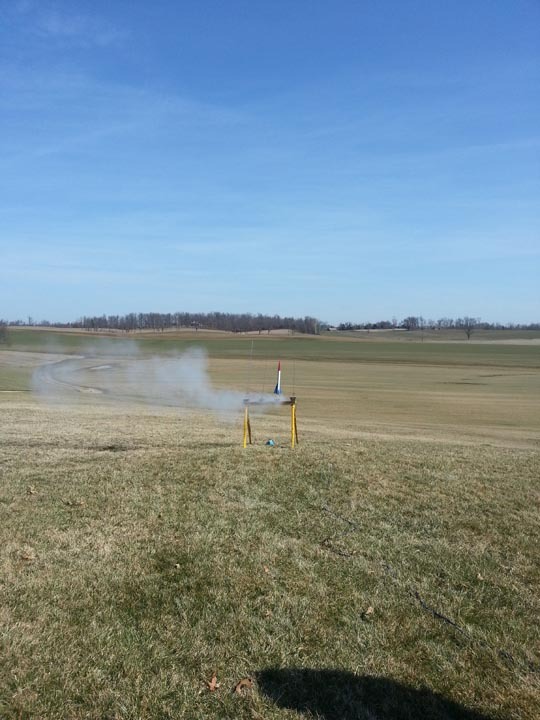 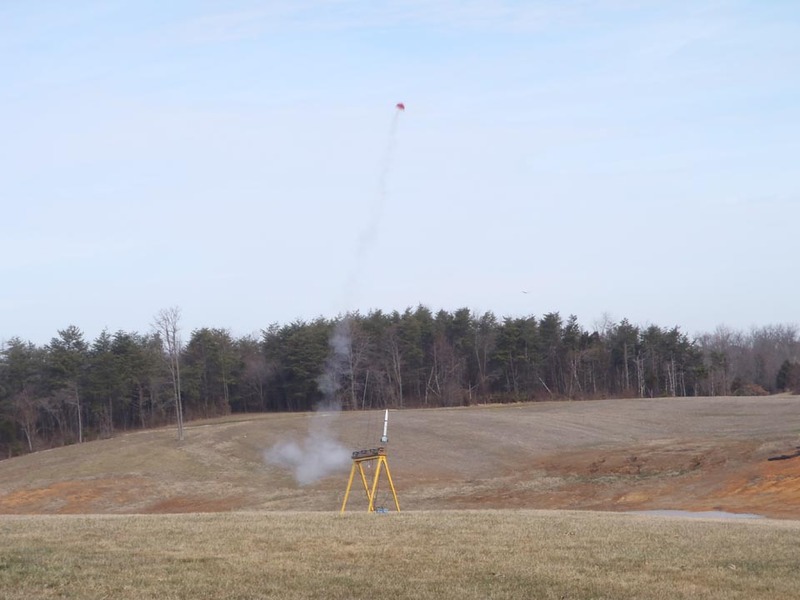 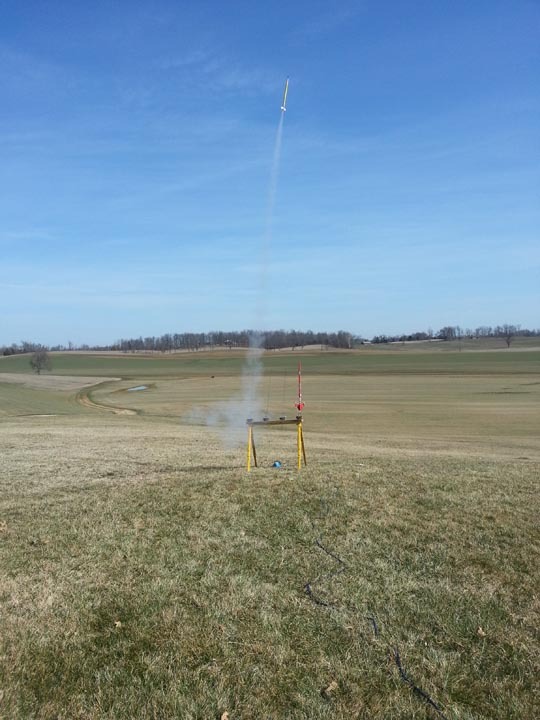 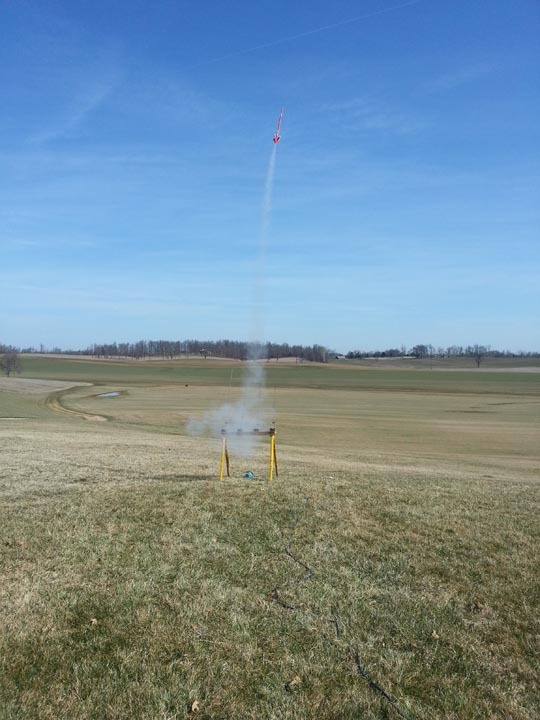 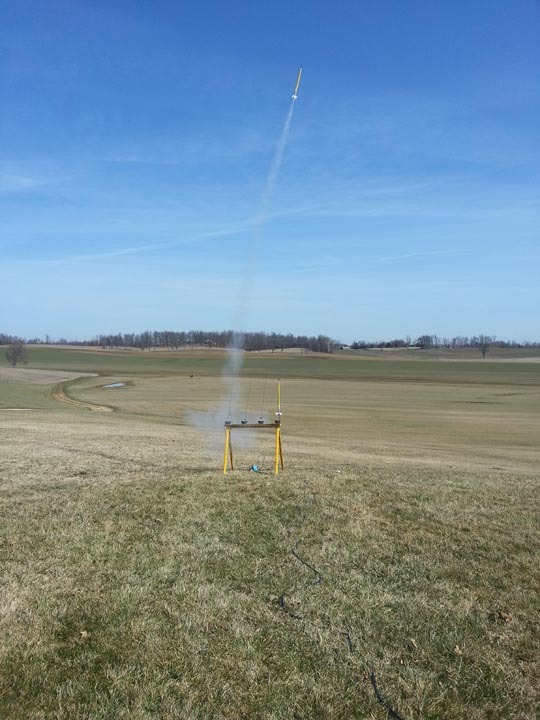 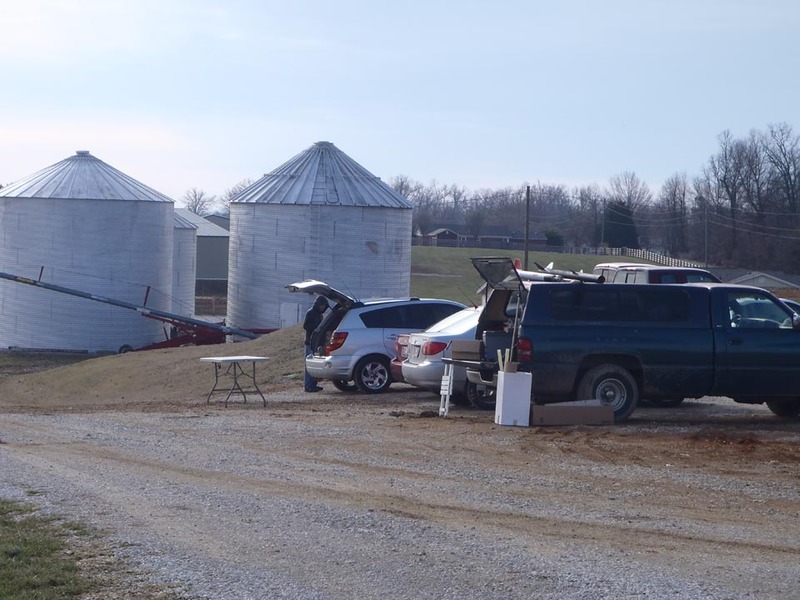 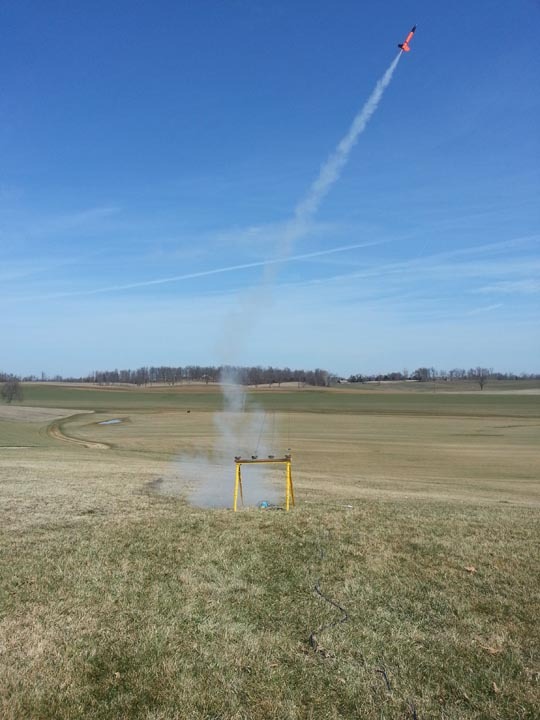 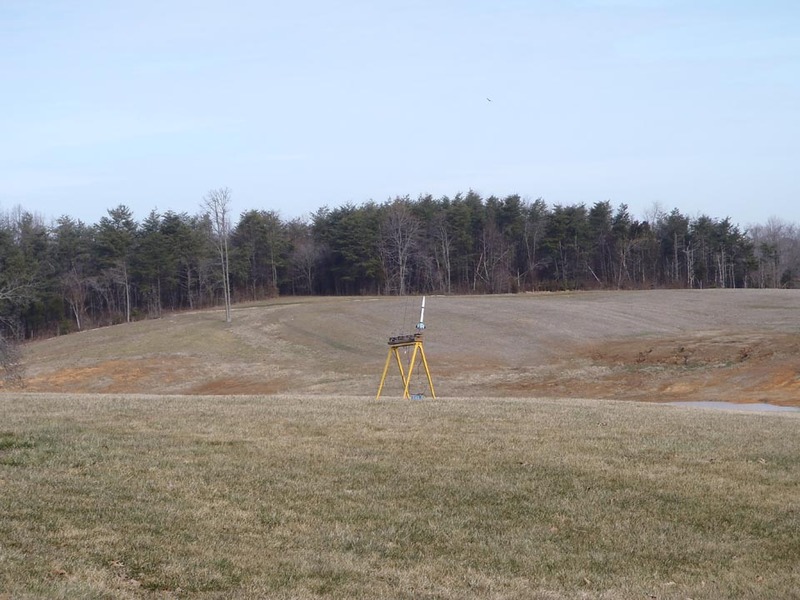 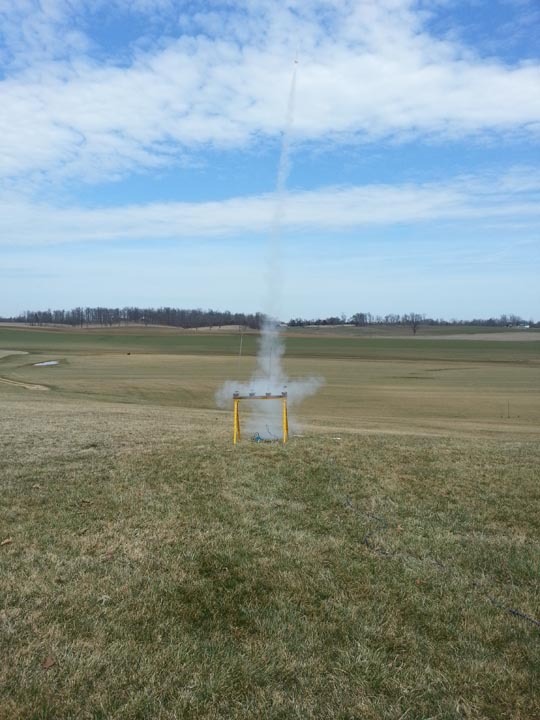 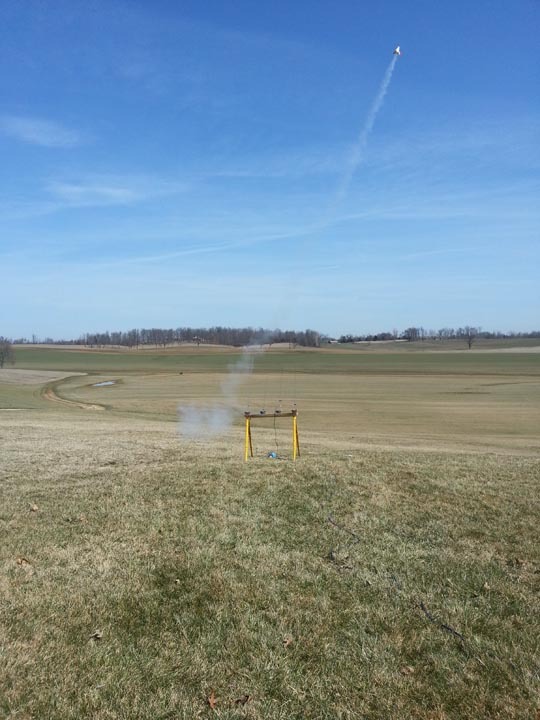 University of Louisville launched their USLI on a L995R. 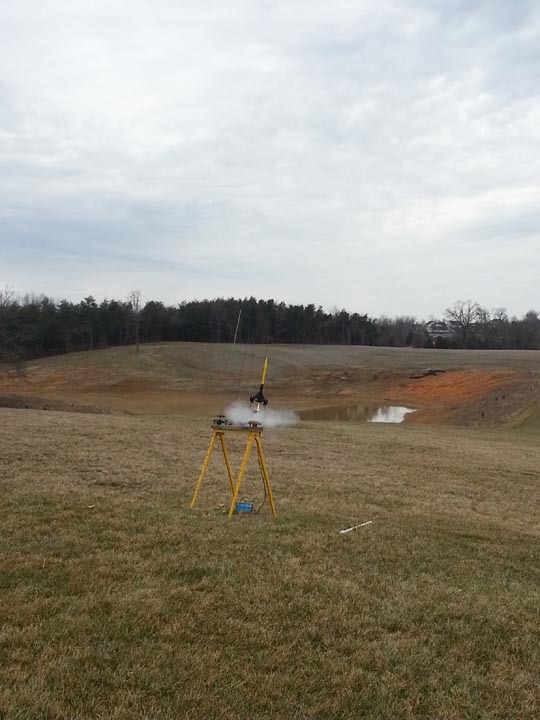 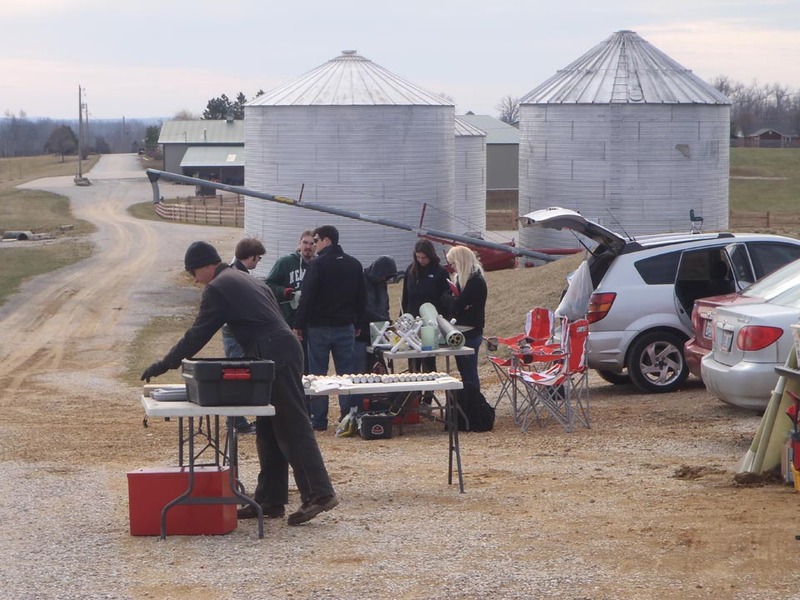 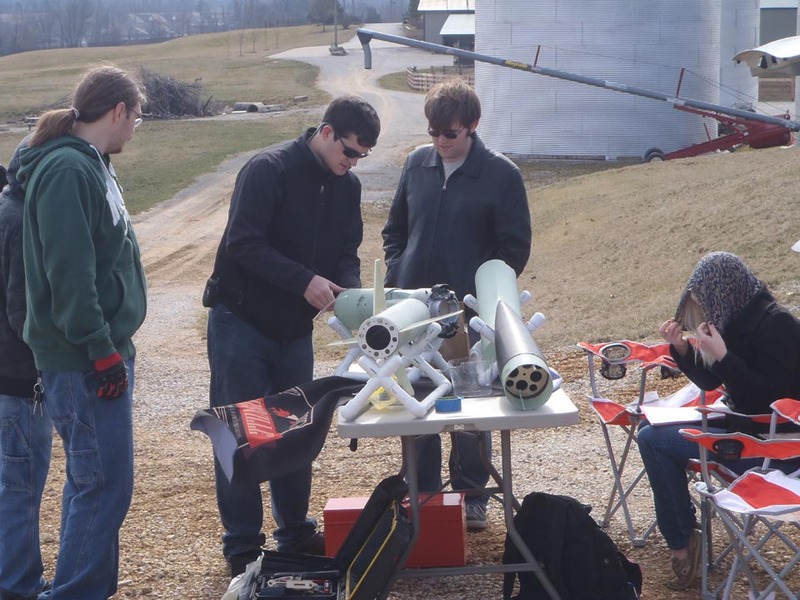 University of Louisville team setting up Rocket for Flight. 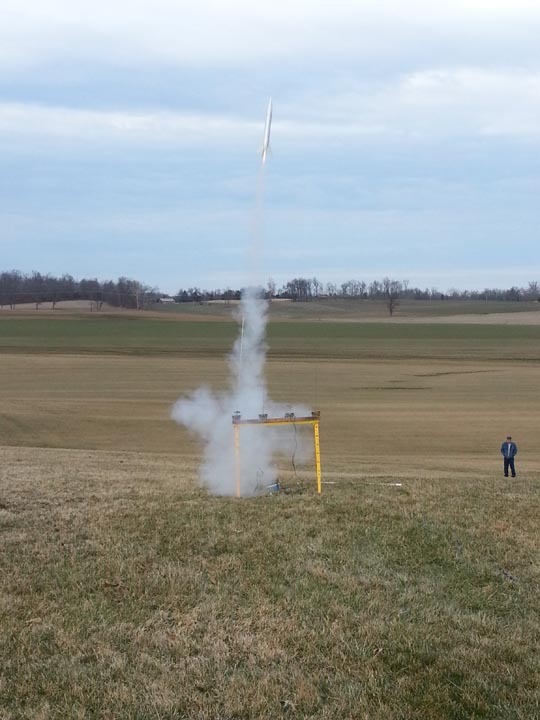 Dennis launching the NASA on a B6-4. 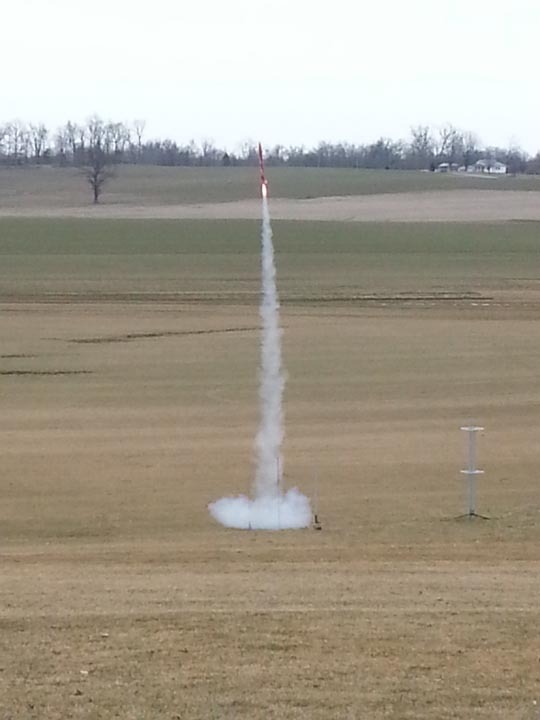 Joe's Invader on an A10-3T. 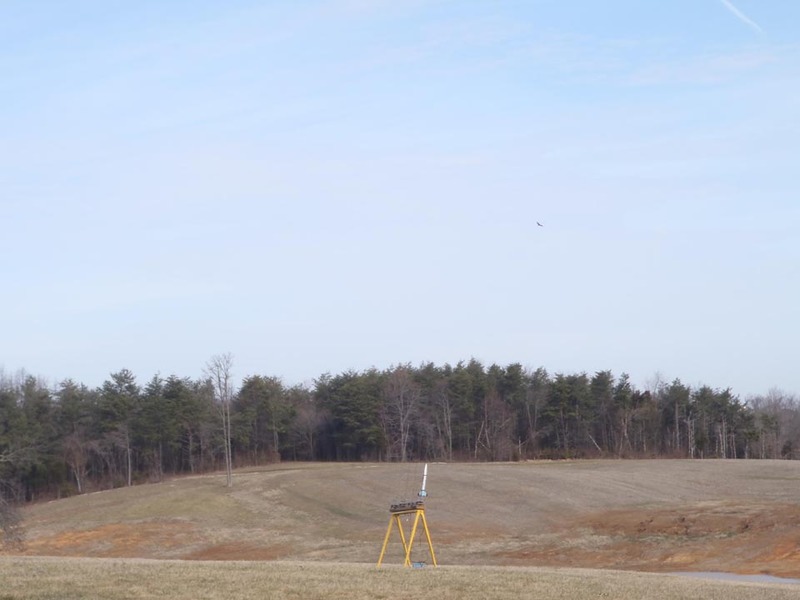 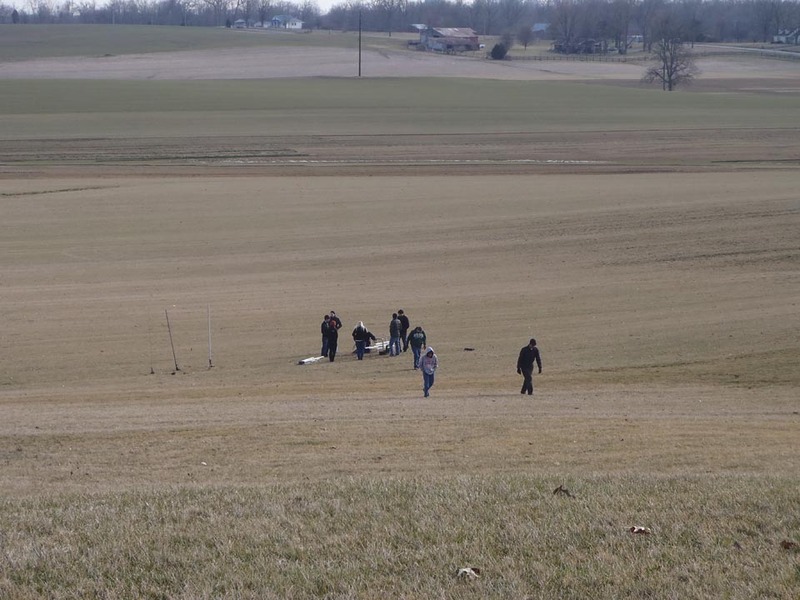 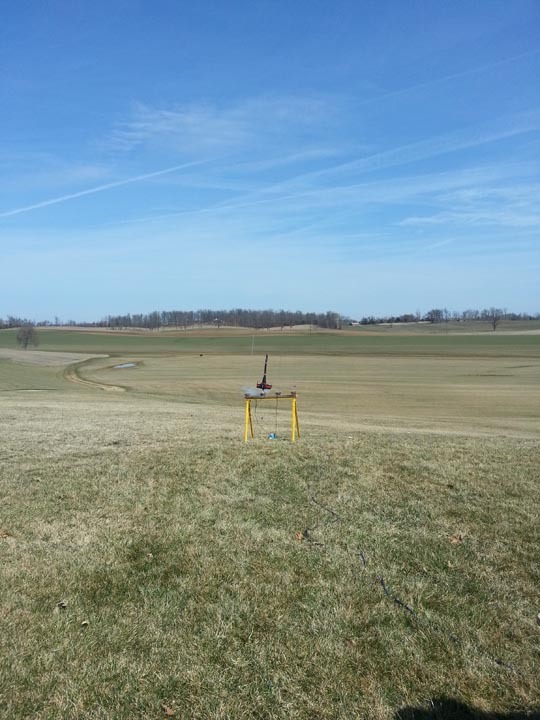 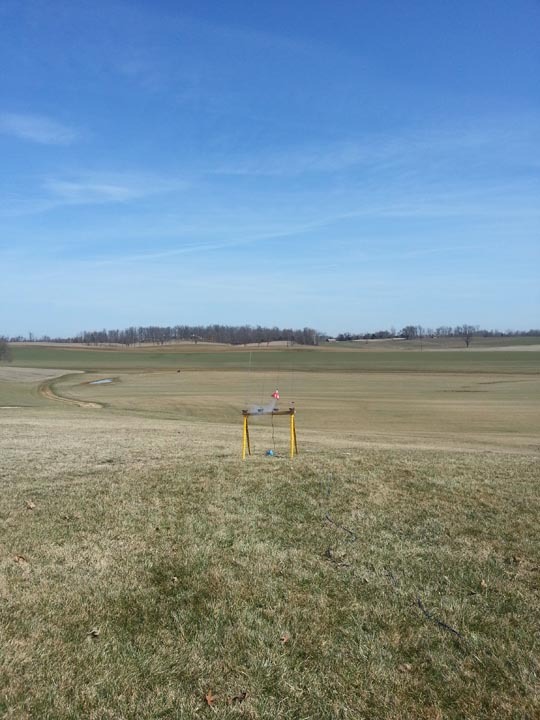 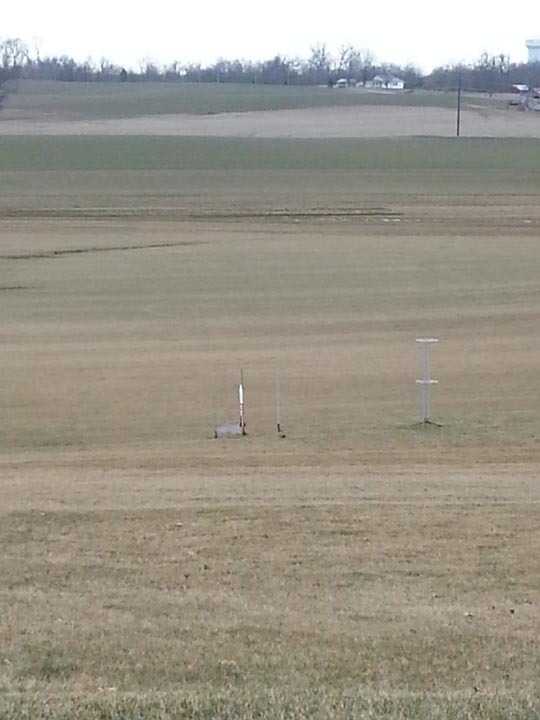 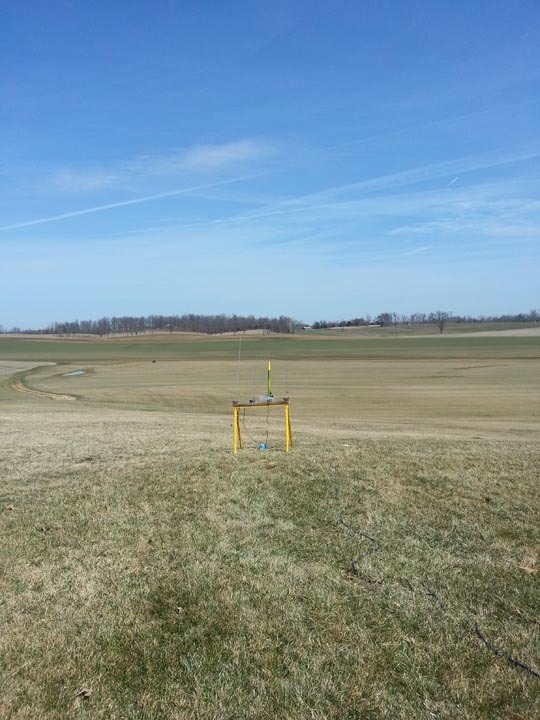 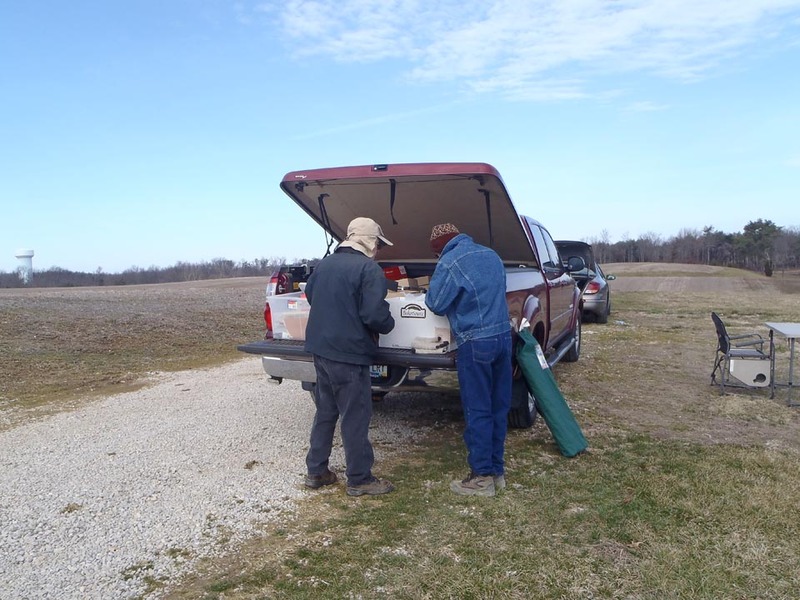 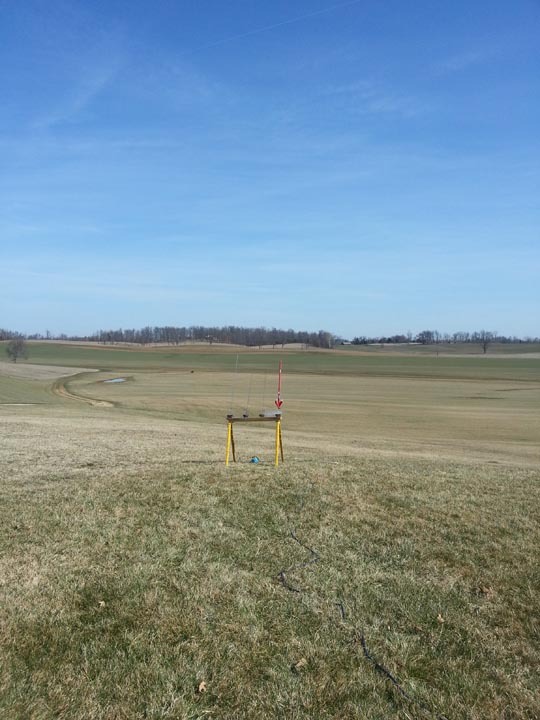 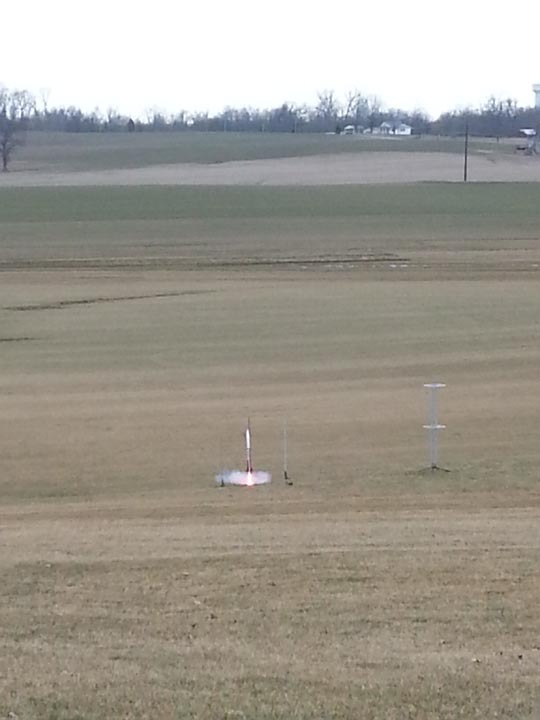 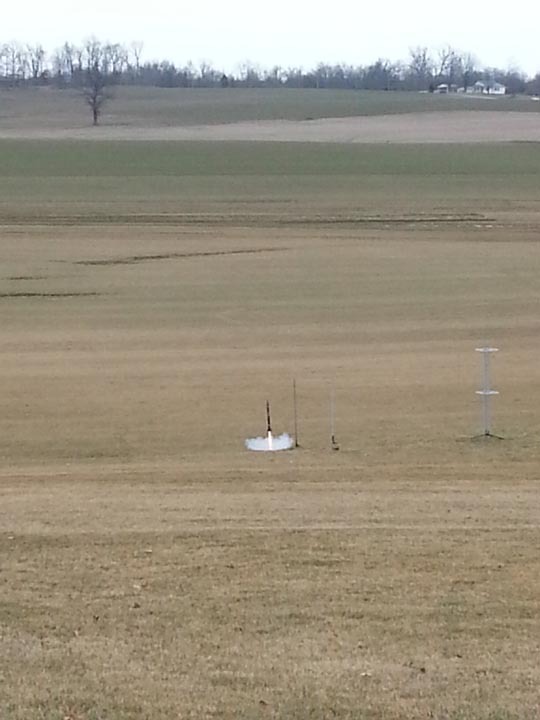 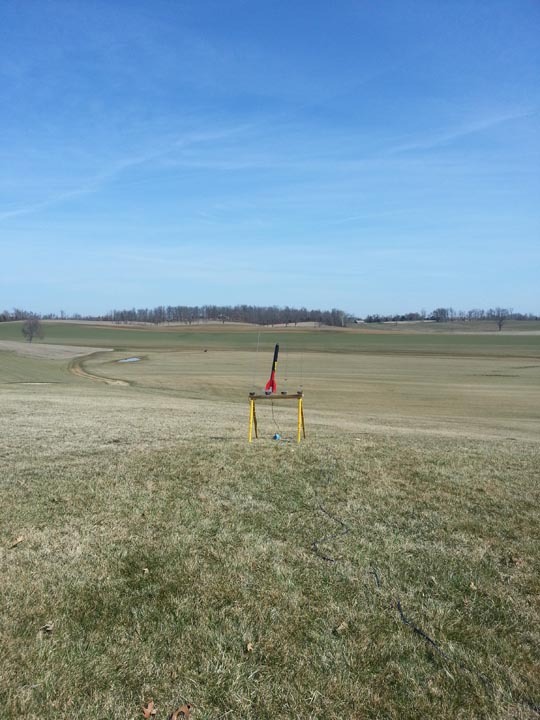 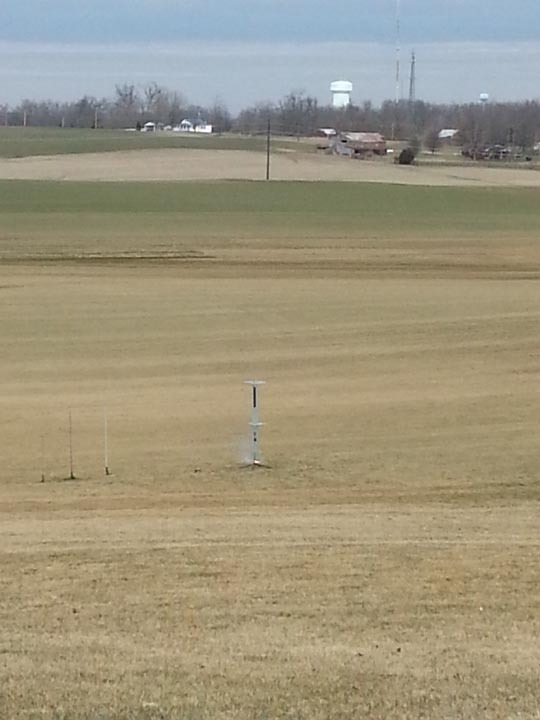 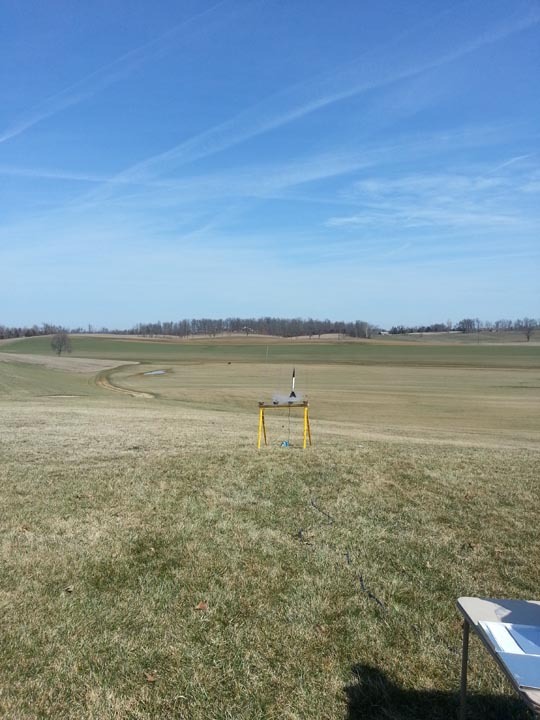 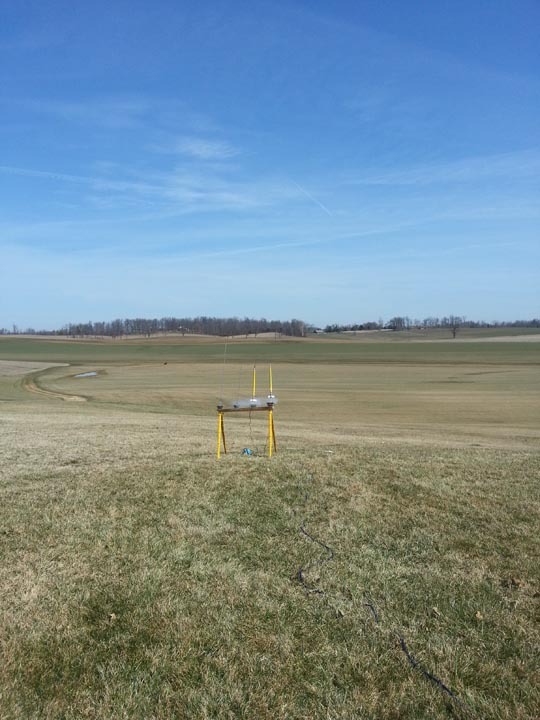 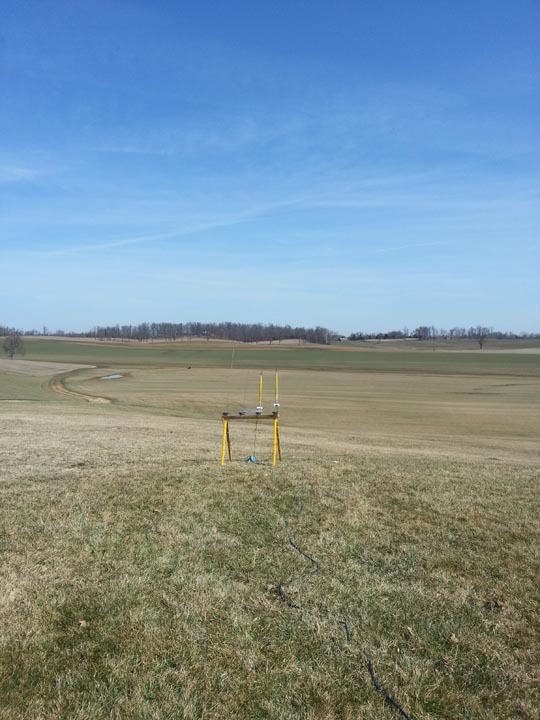 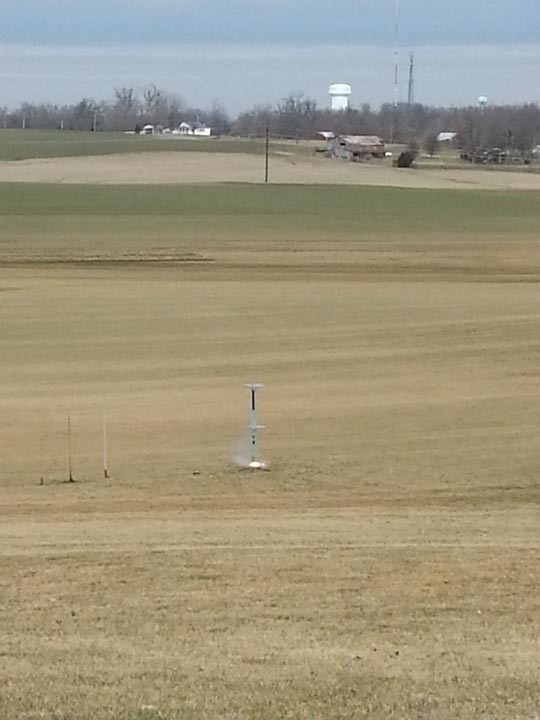 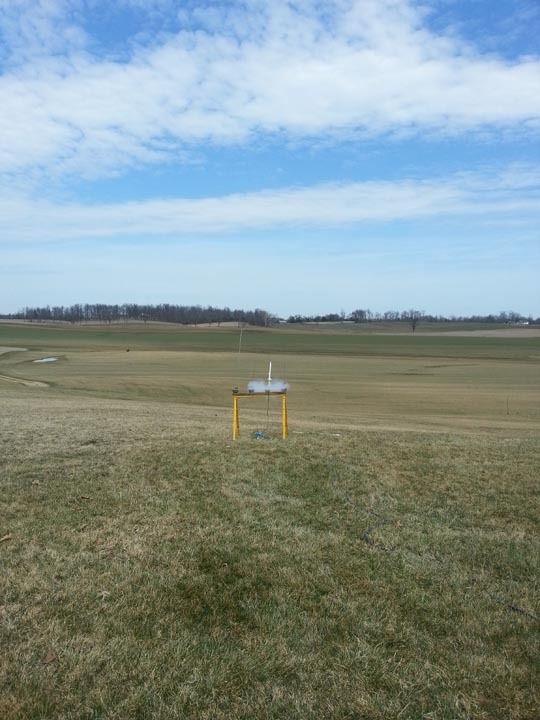 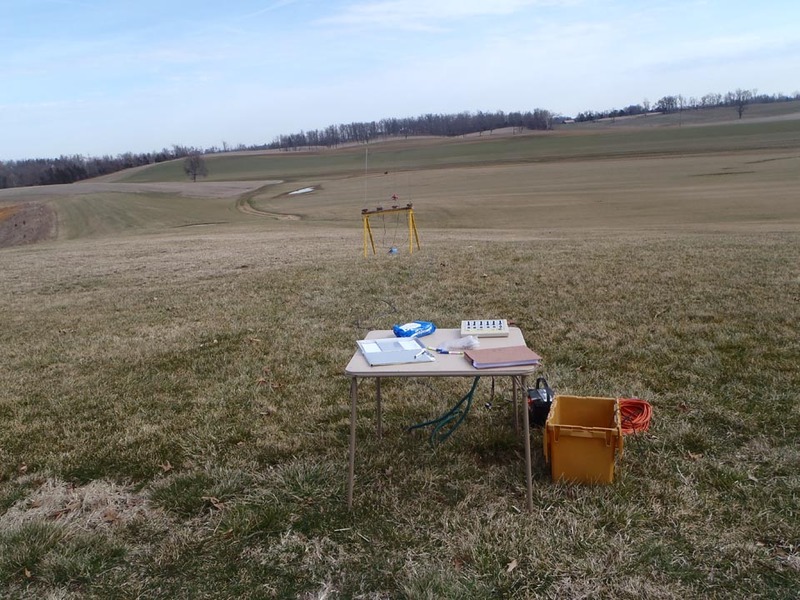 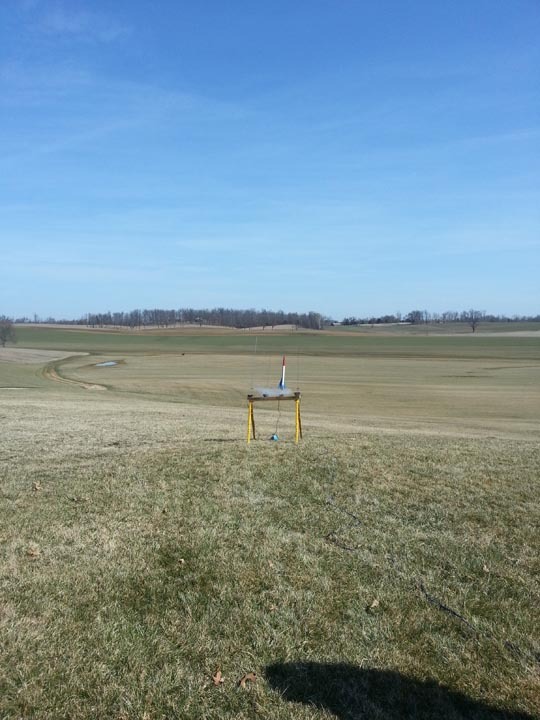 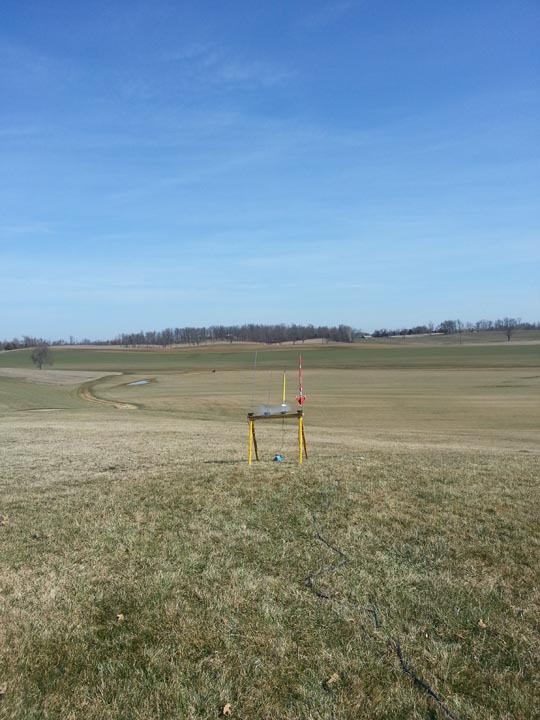 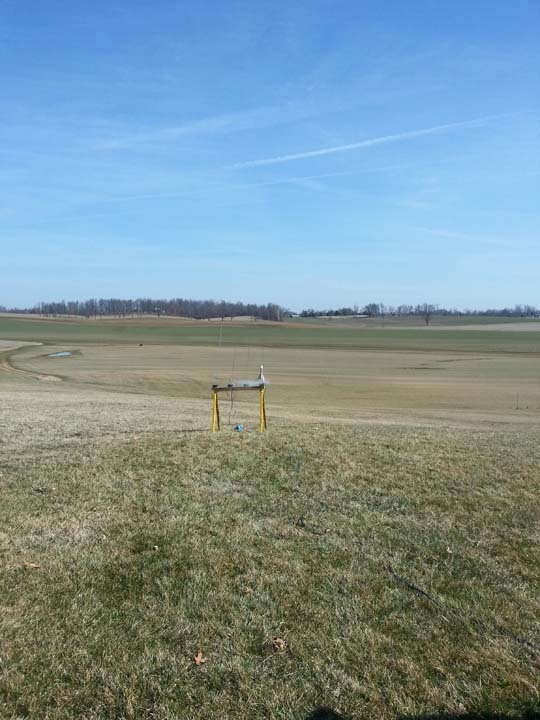 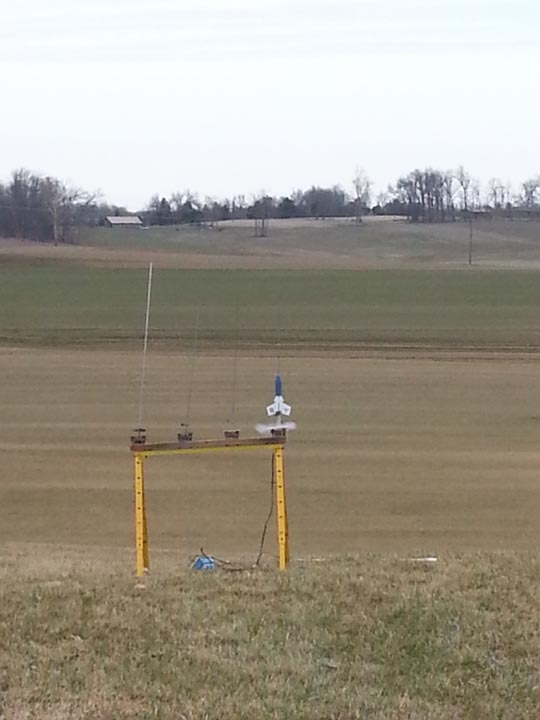 University of Lousiville setting up Launch Tower. 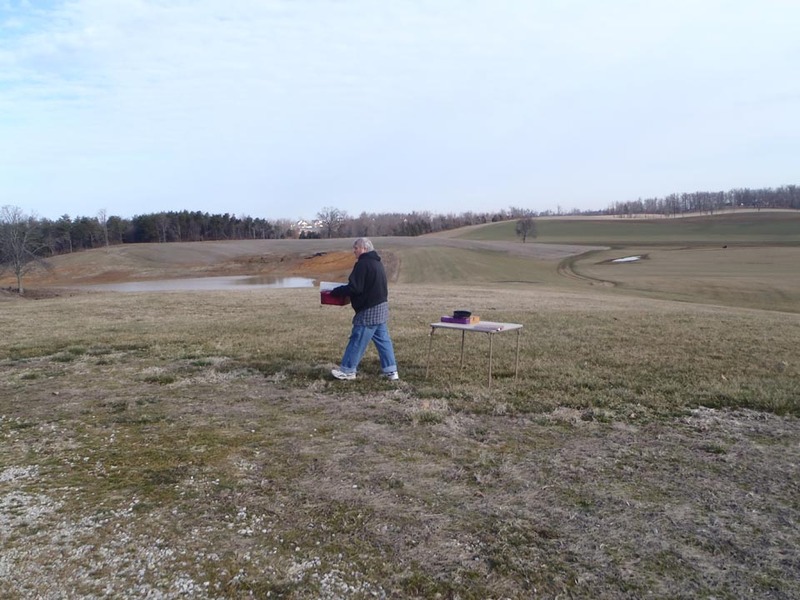 Jeff buying Club Motors from Dennis. 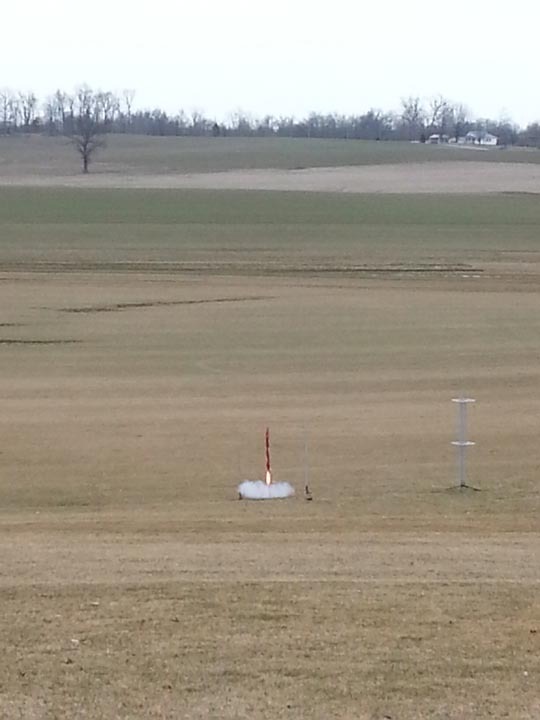 Low & Mid power Launch Area. Joe carrying Launch Equipment to the Pads. 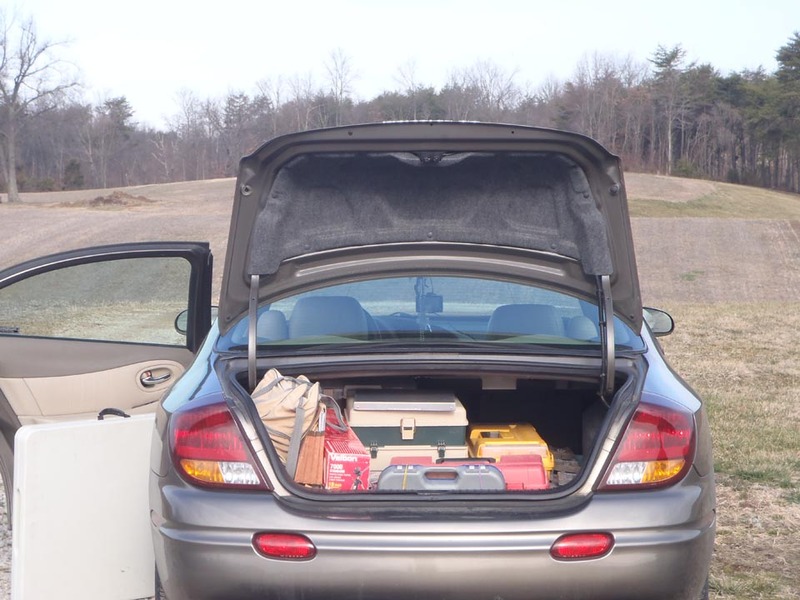 Joe's Staging Area "The Trunk".